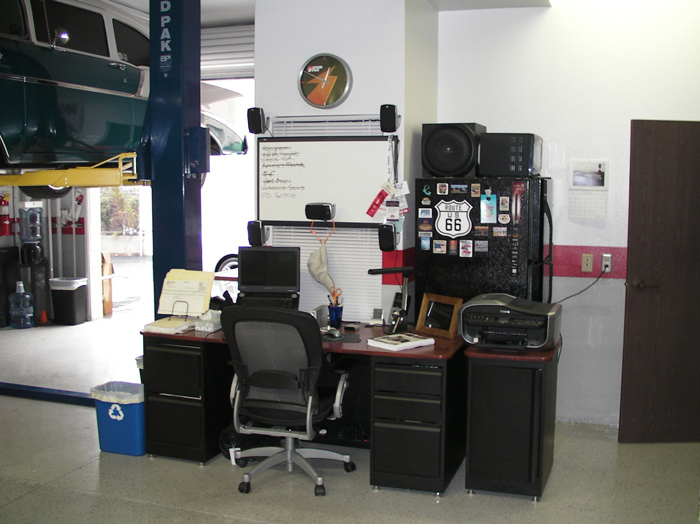 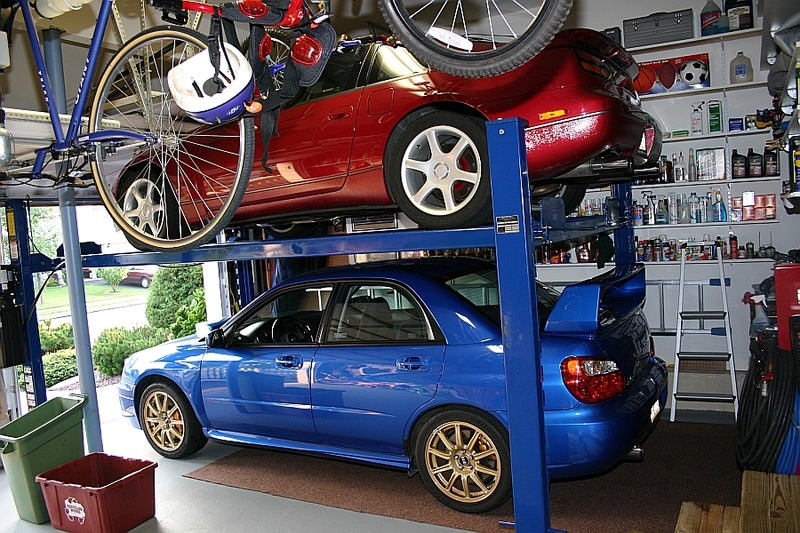 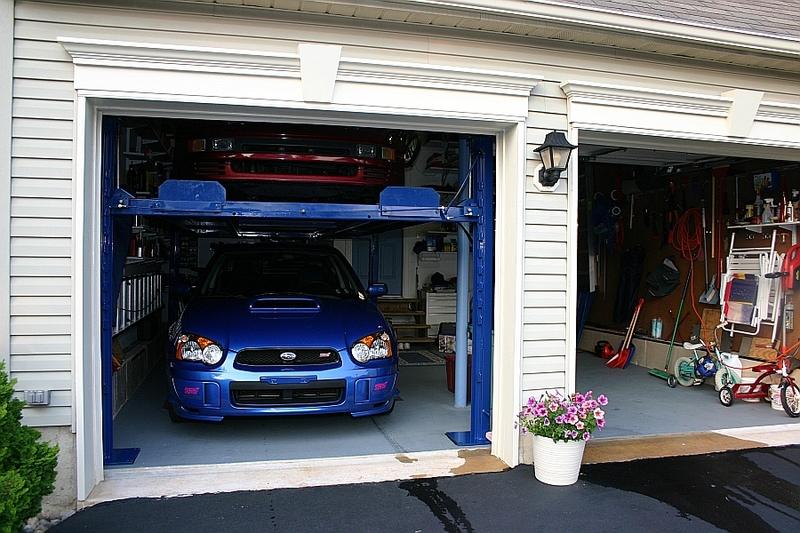 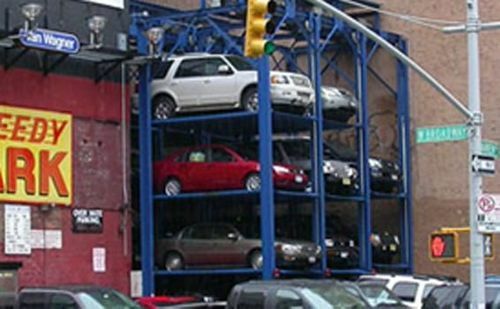 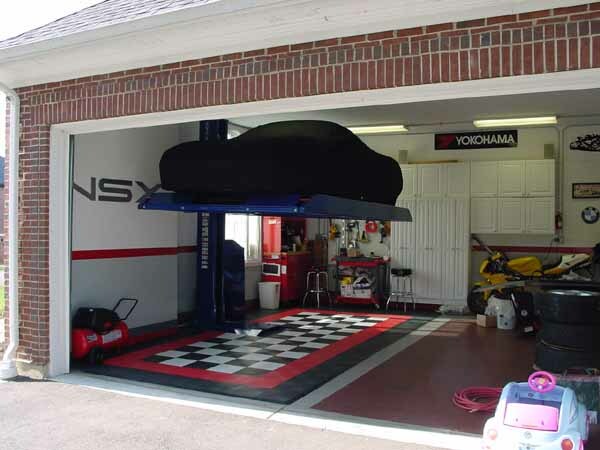 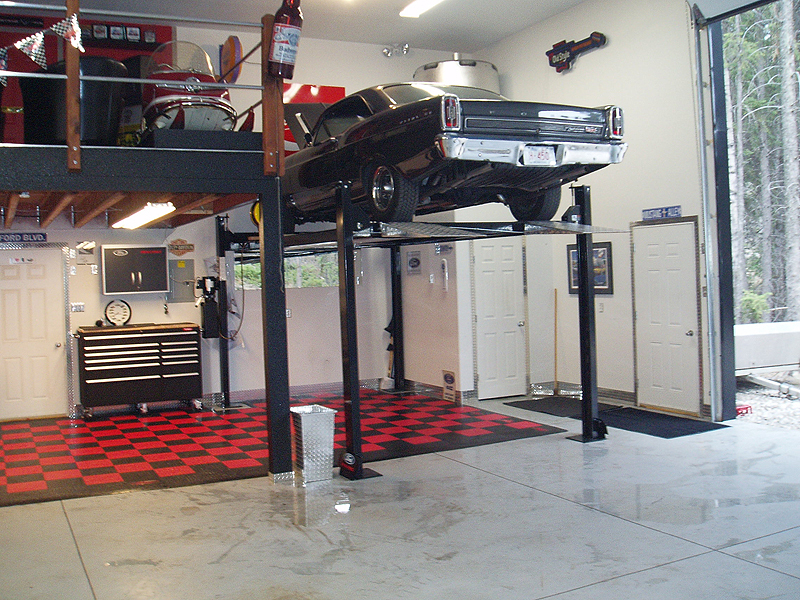 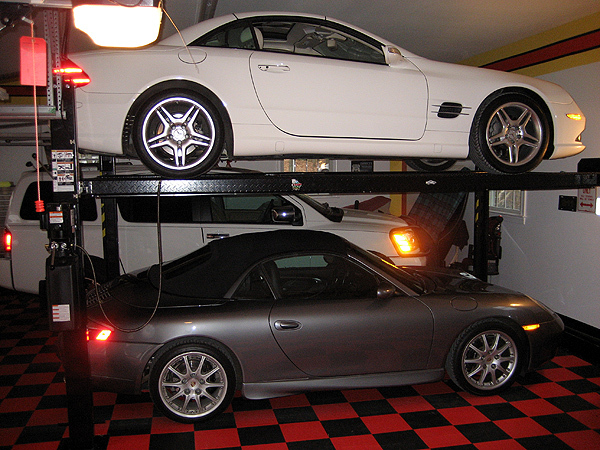 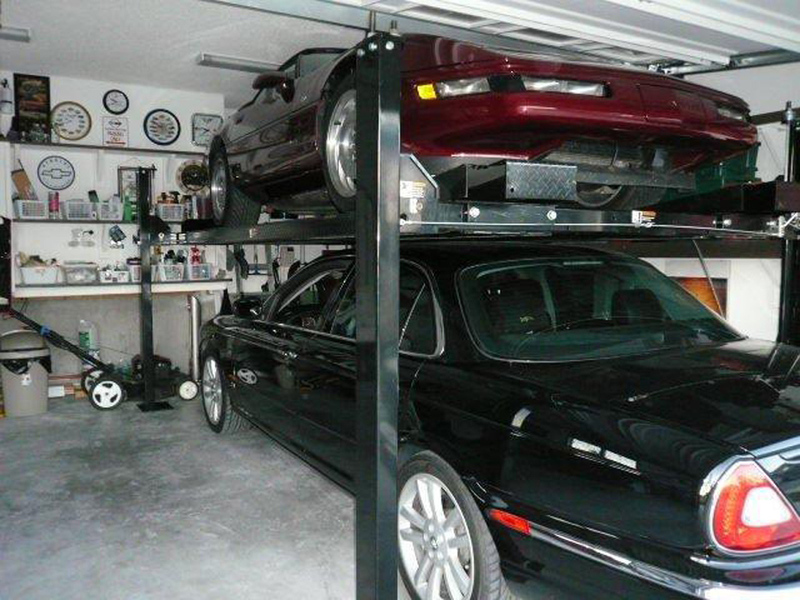 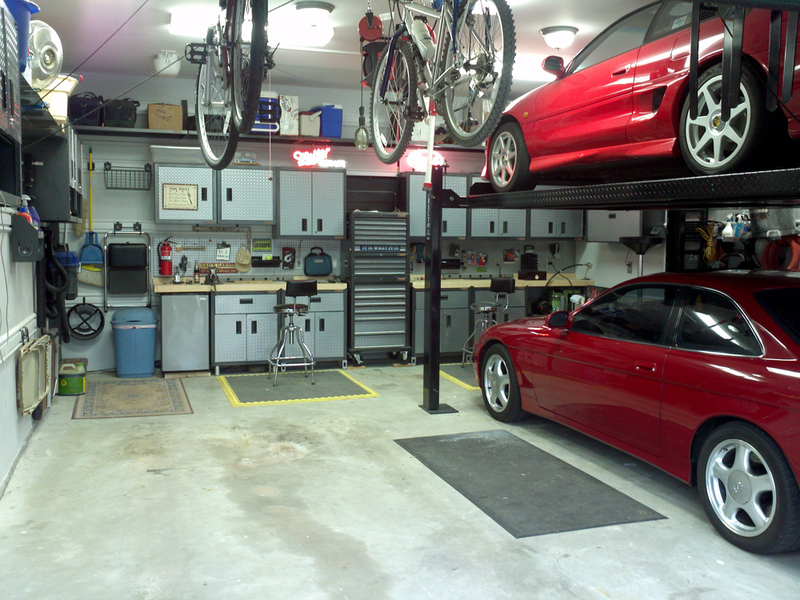 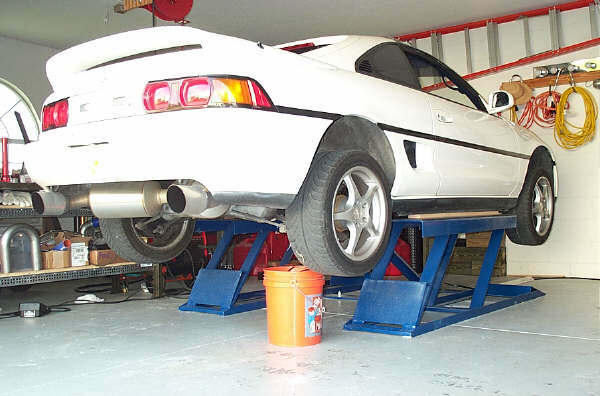 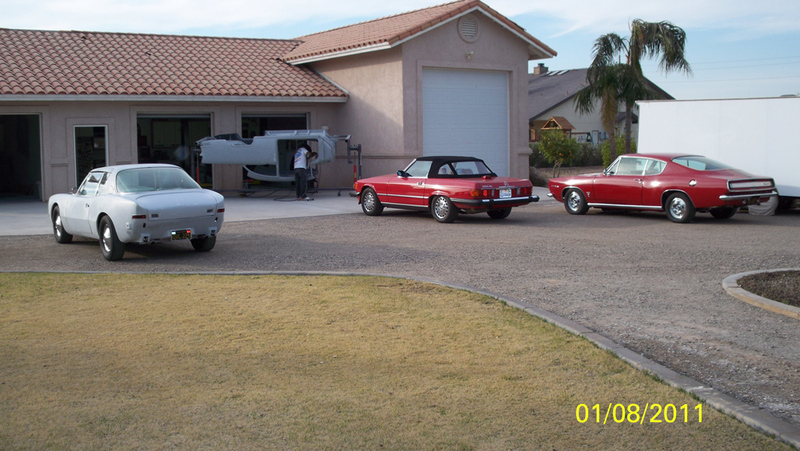 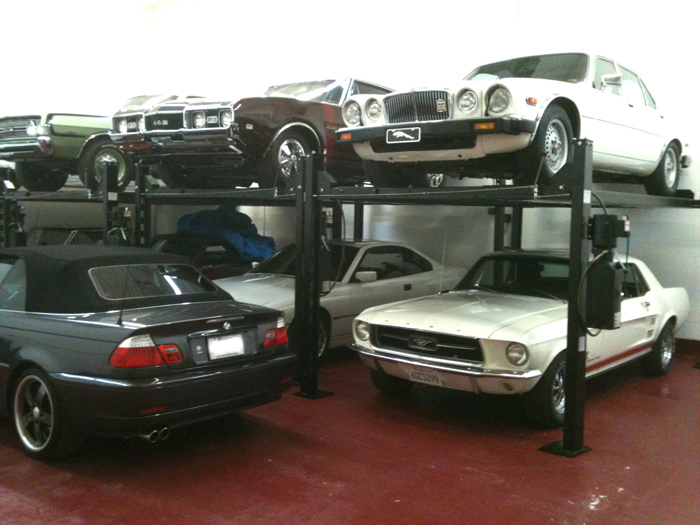 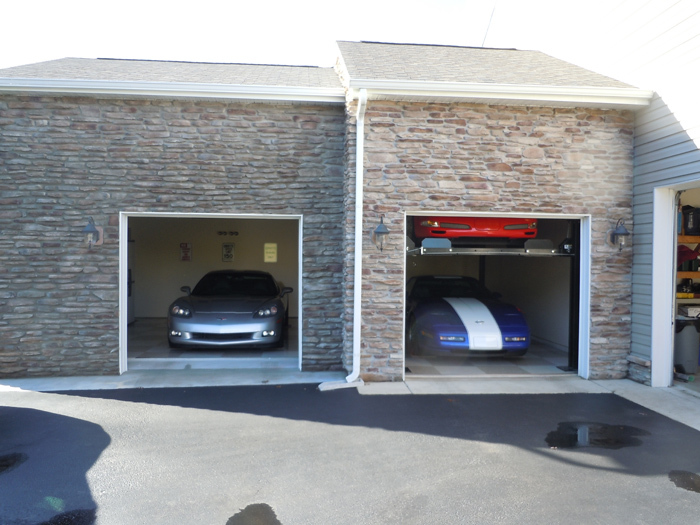 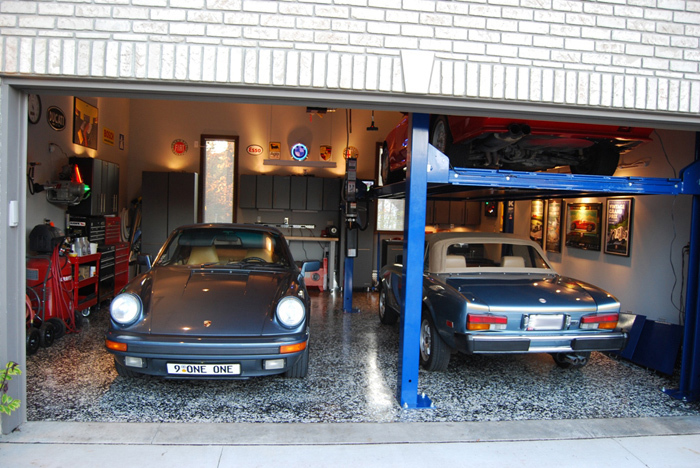 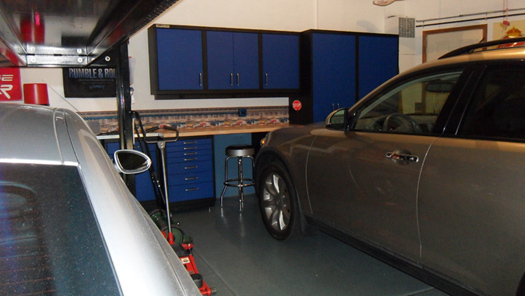 This three level lift was designed to store your cars going upward insted of taking up valuable floor space. 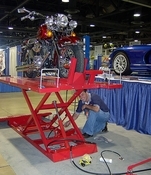 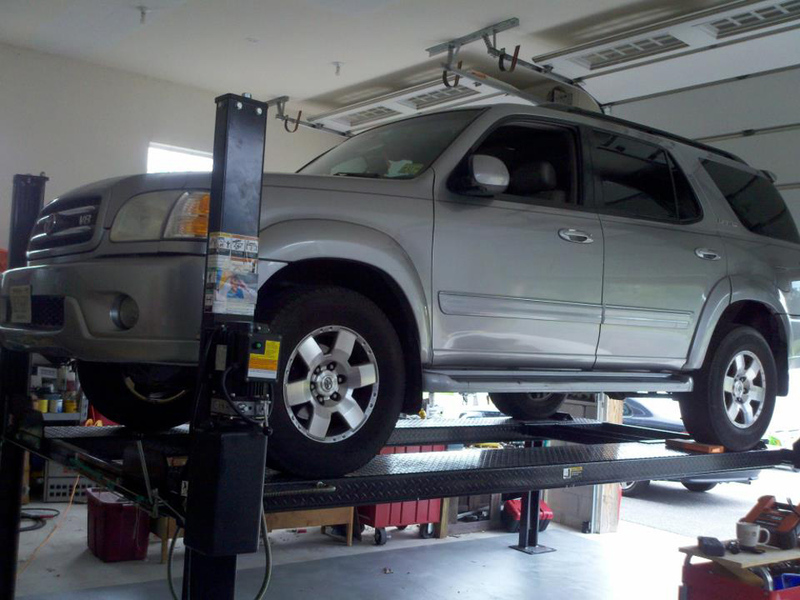 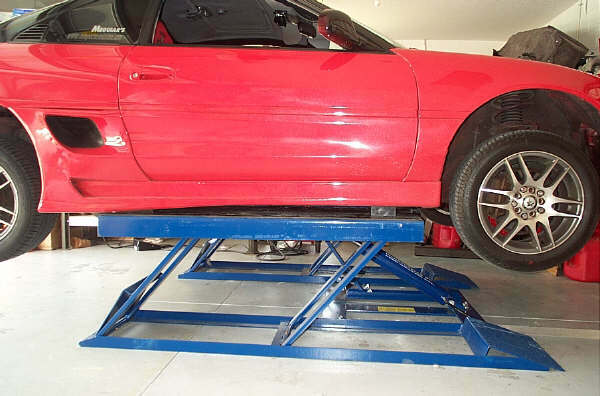 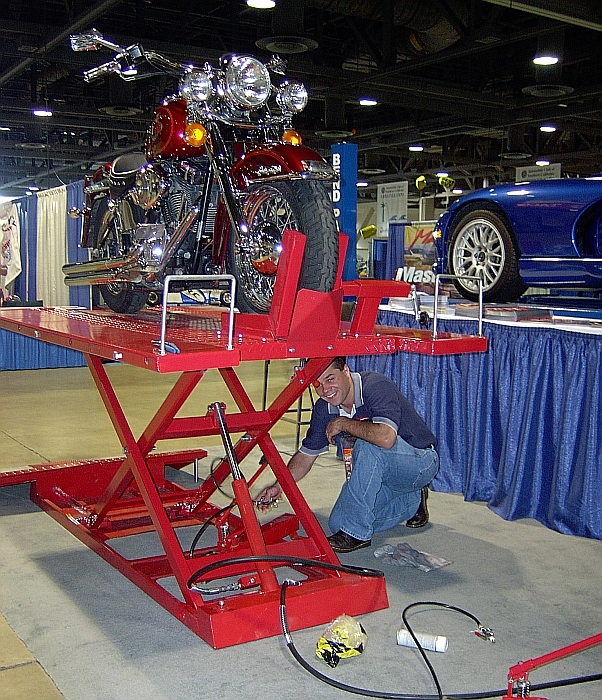 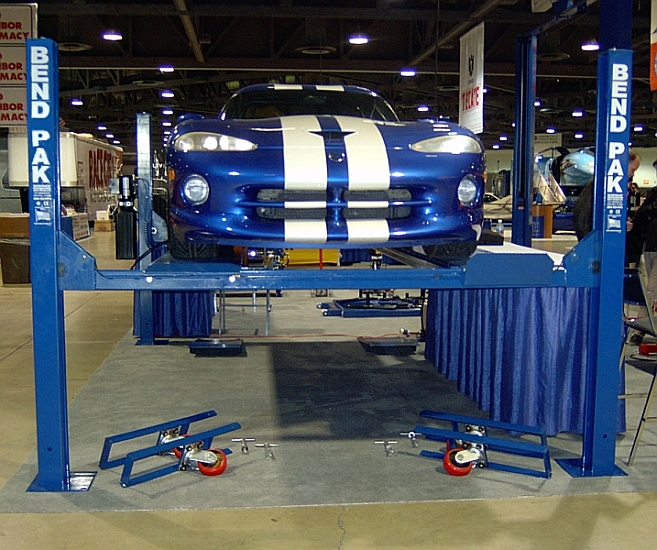 The lift has full platforms to protect the car bellow it. 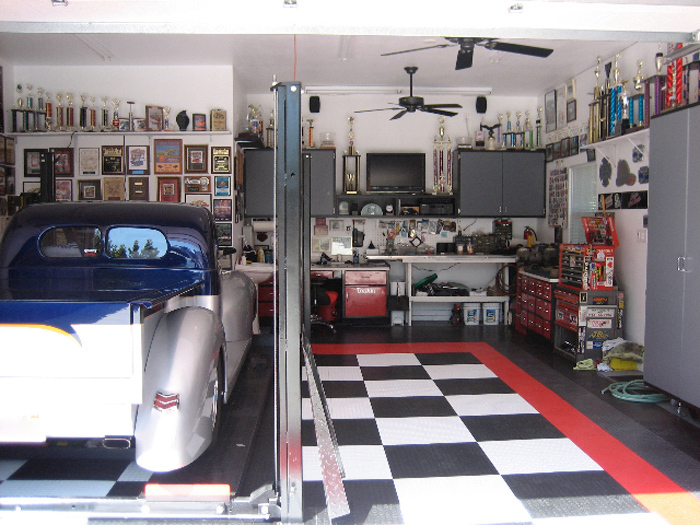 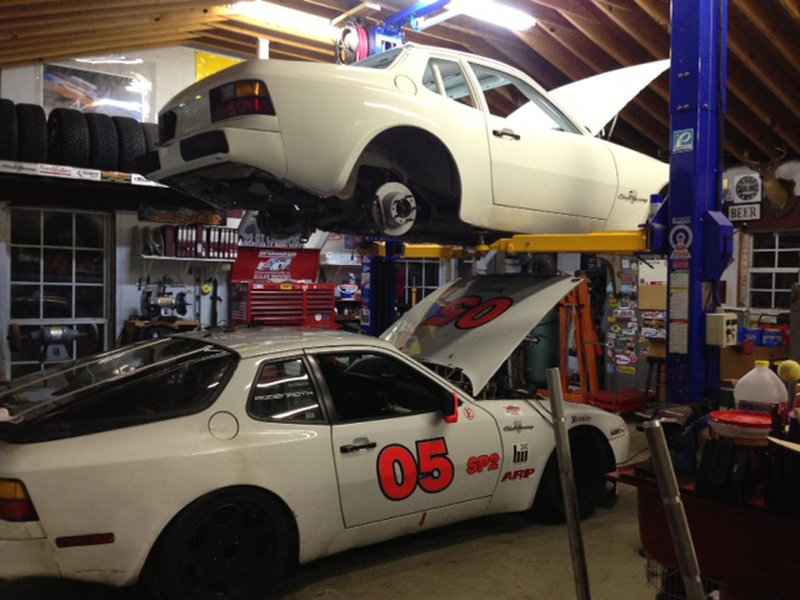 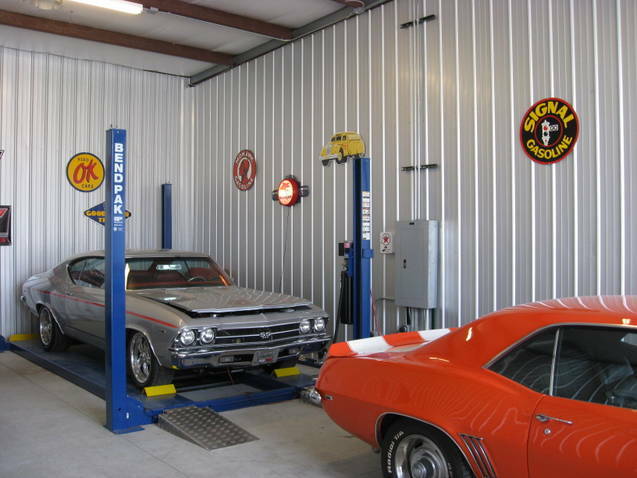 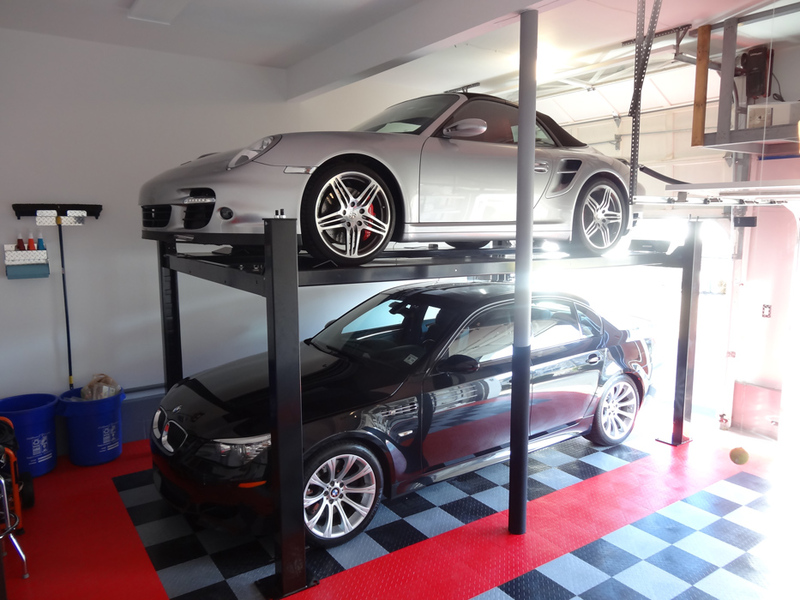 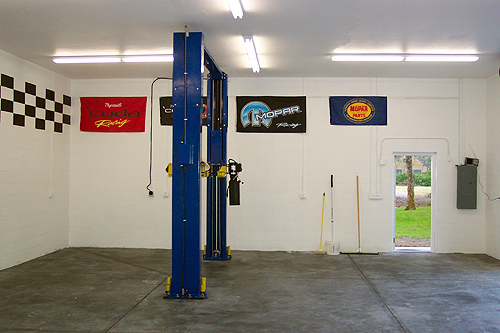 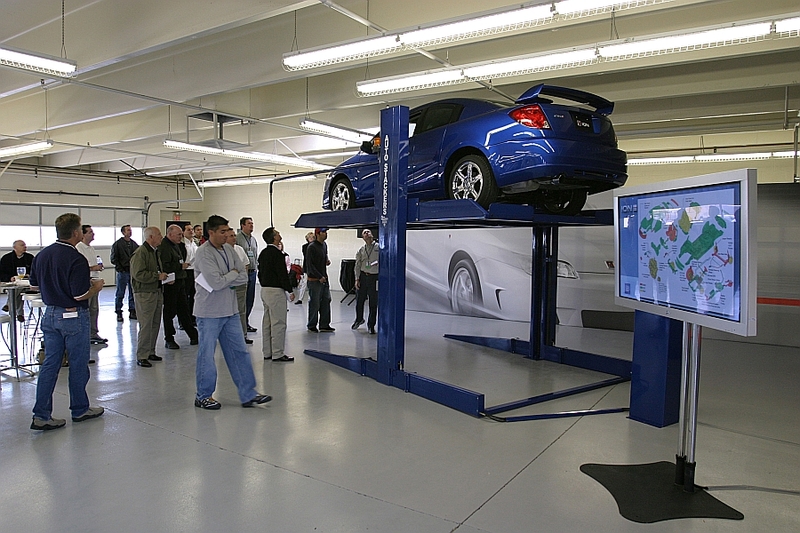 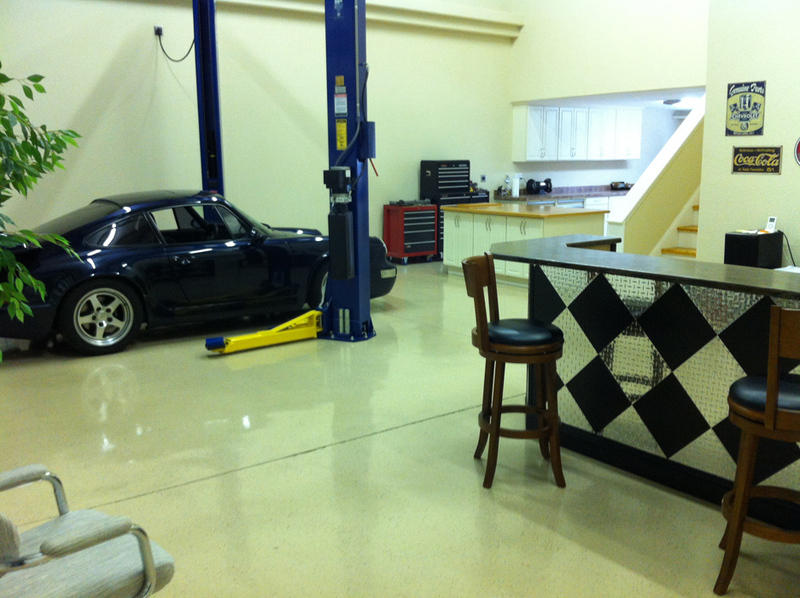 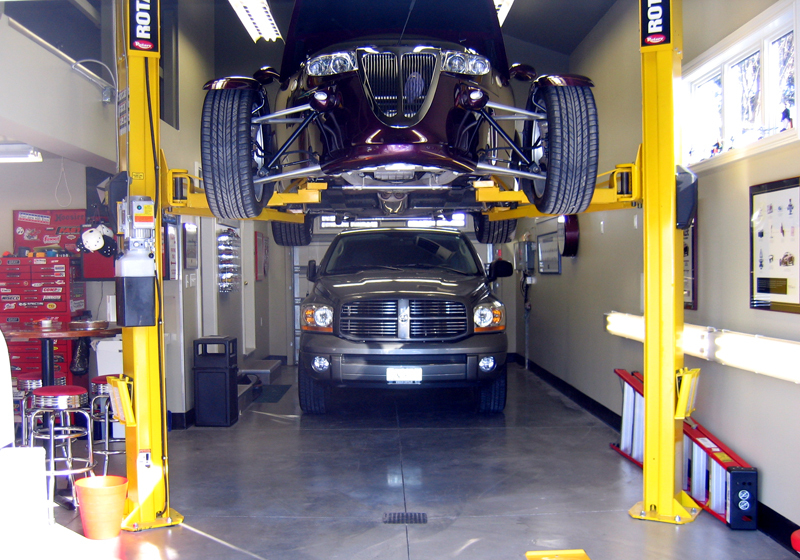 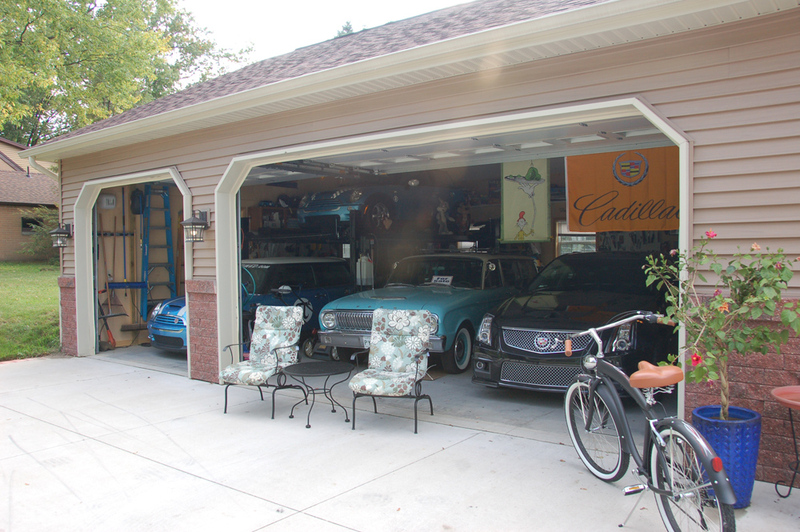 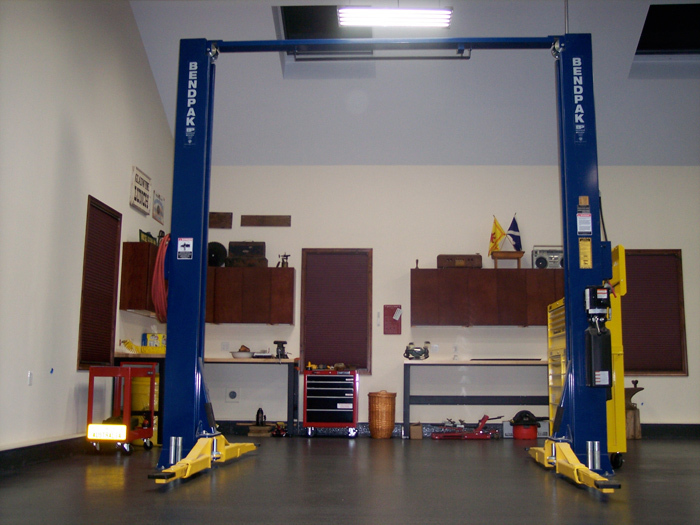 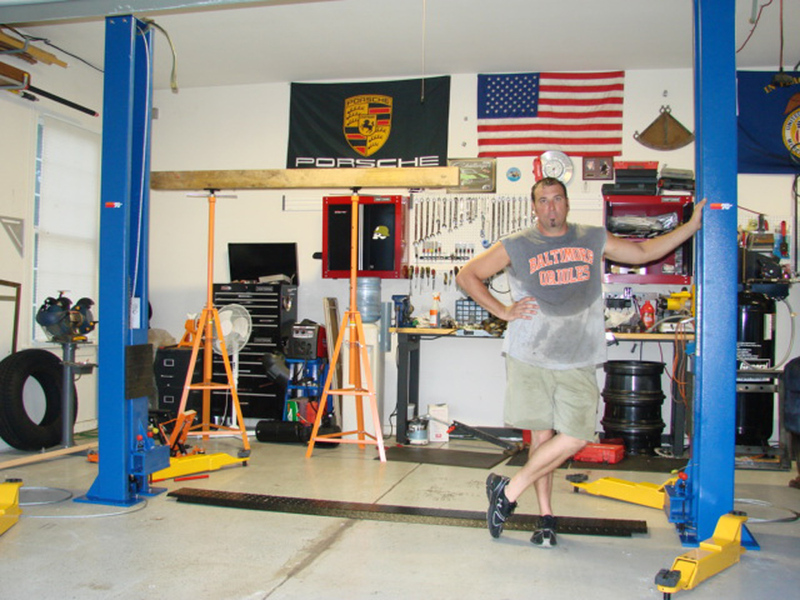 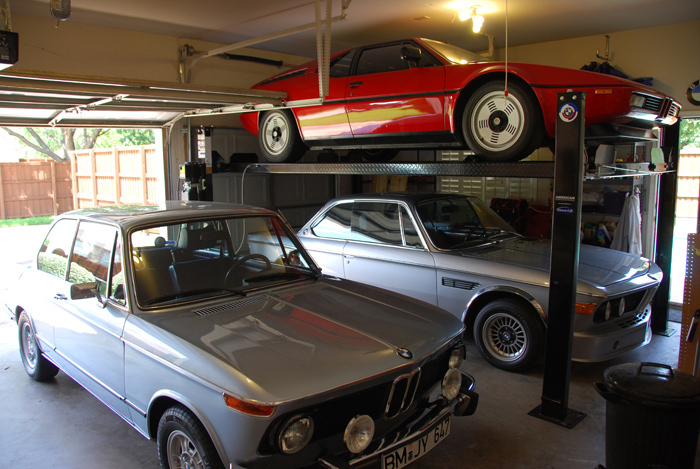 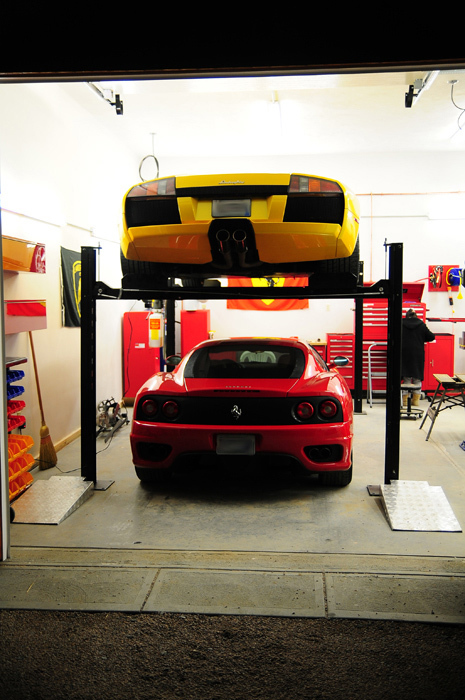 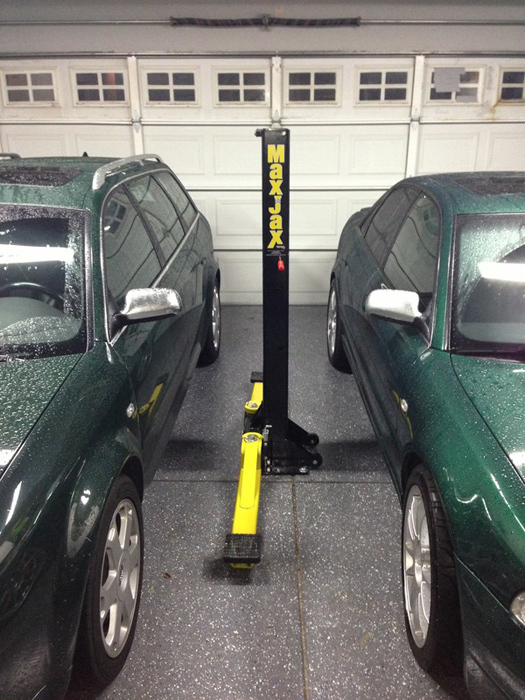 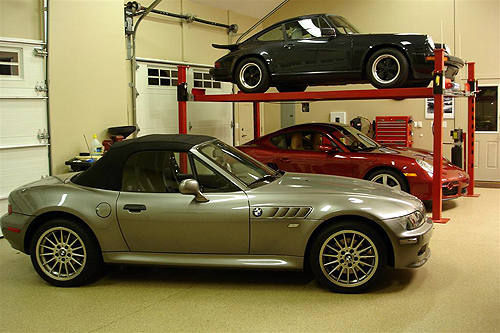 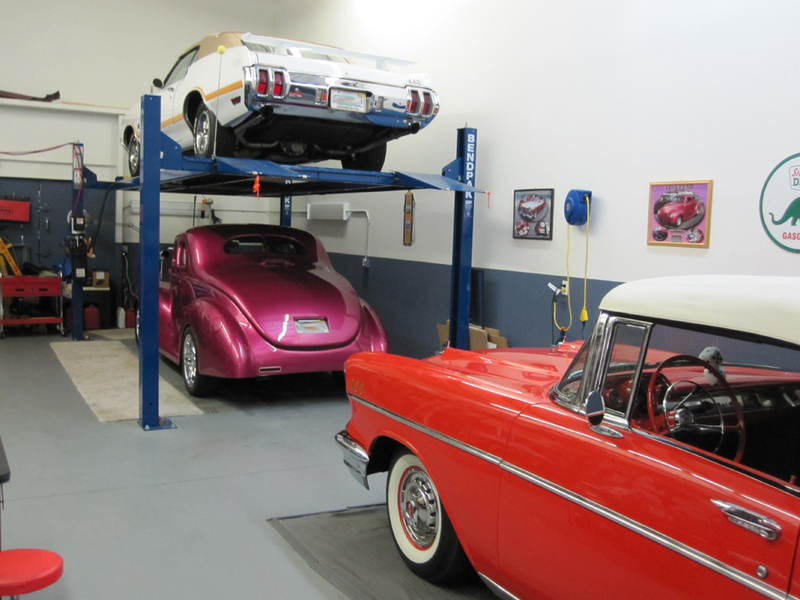 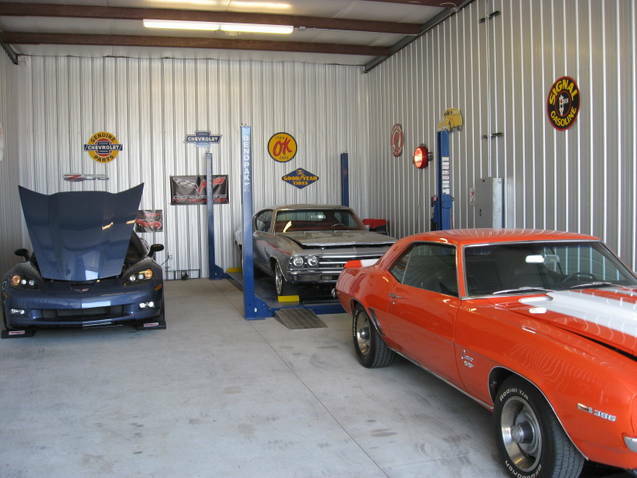 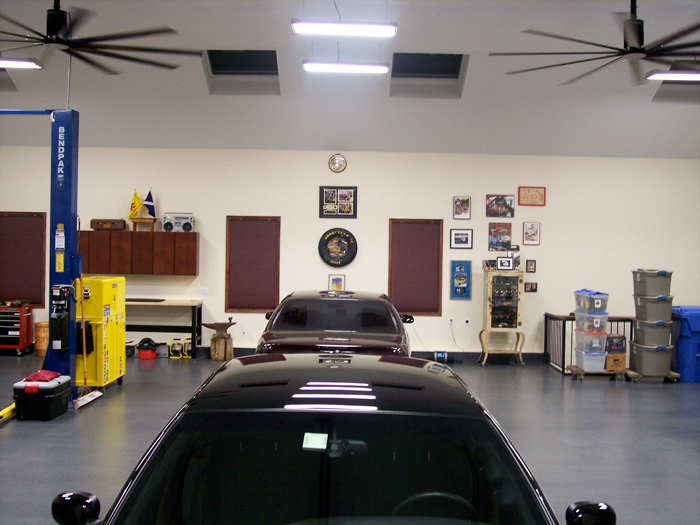 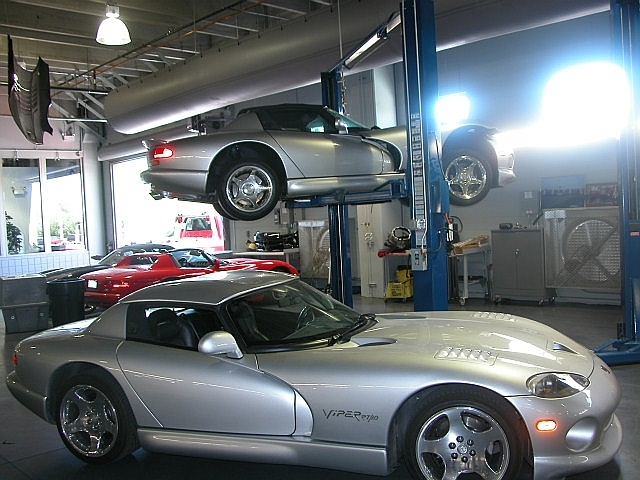 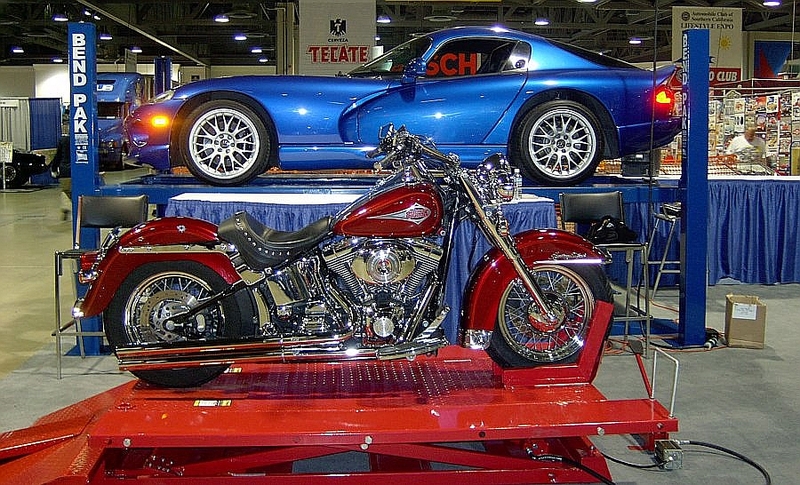 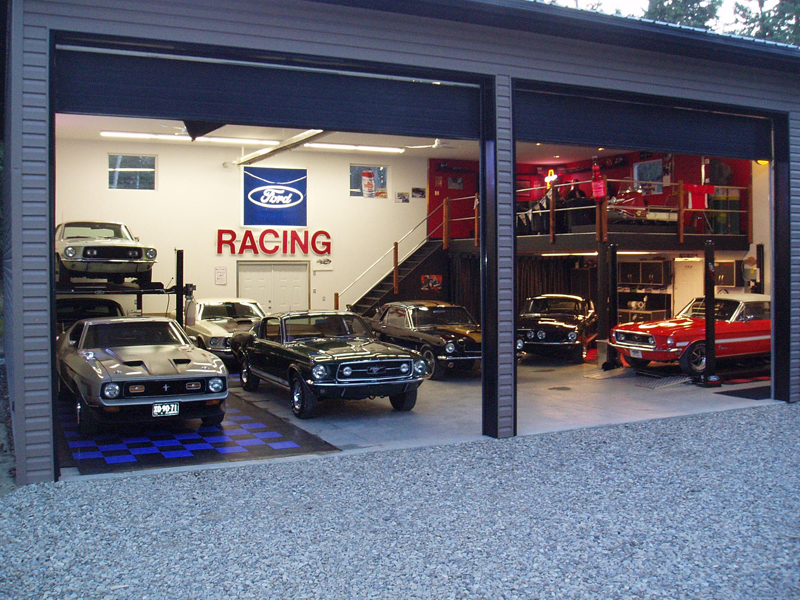 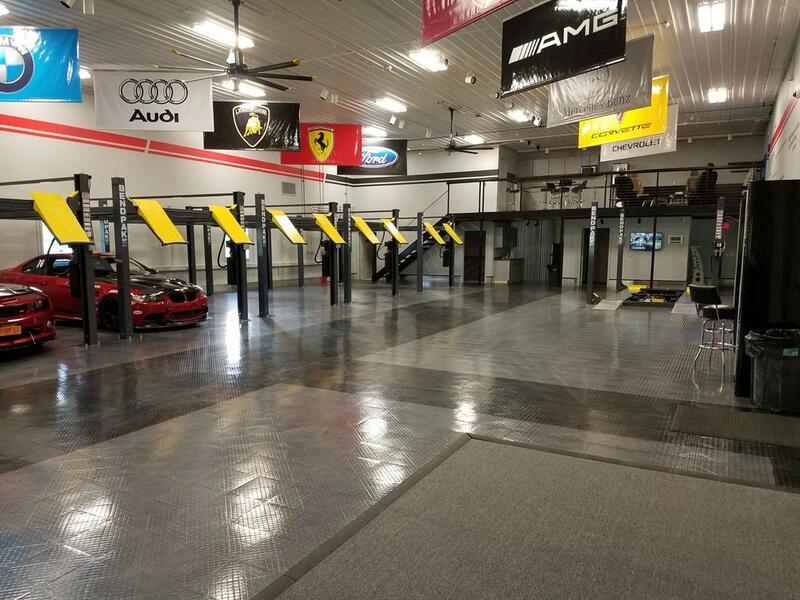 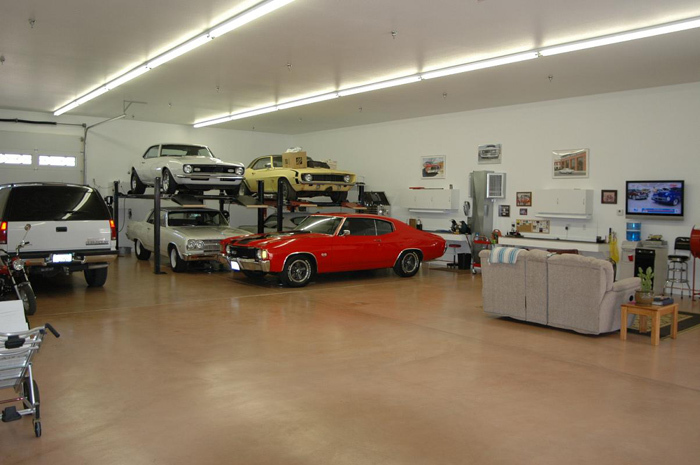 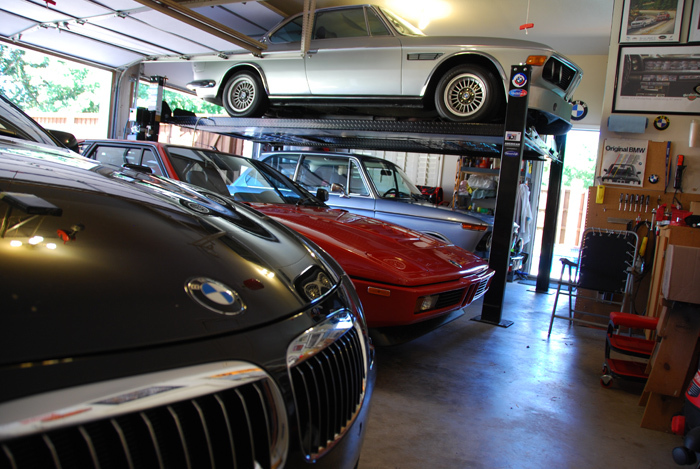 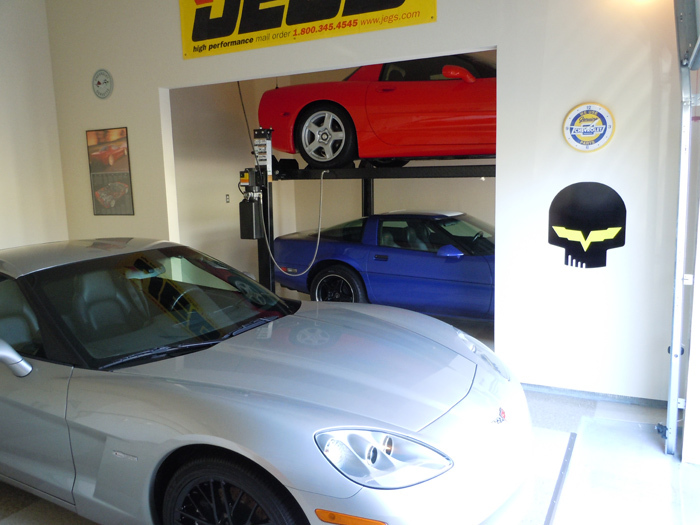 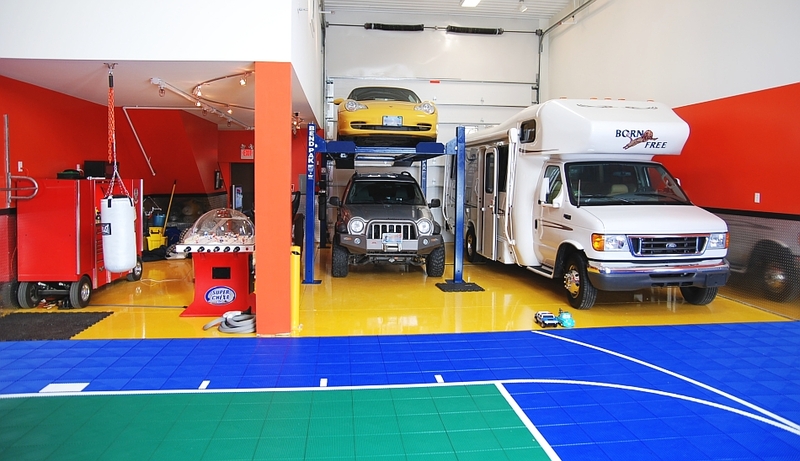 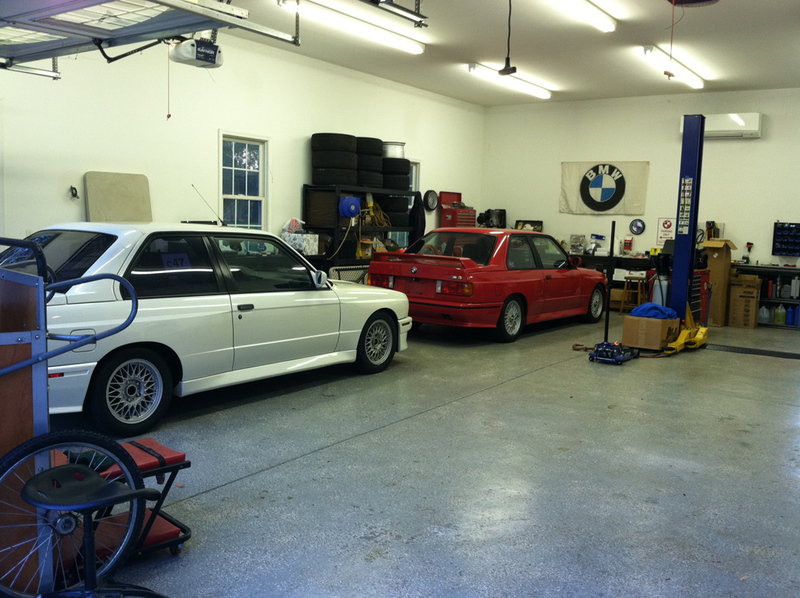 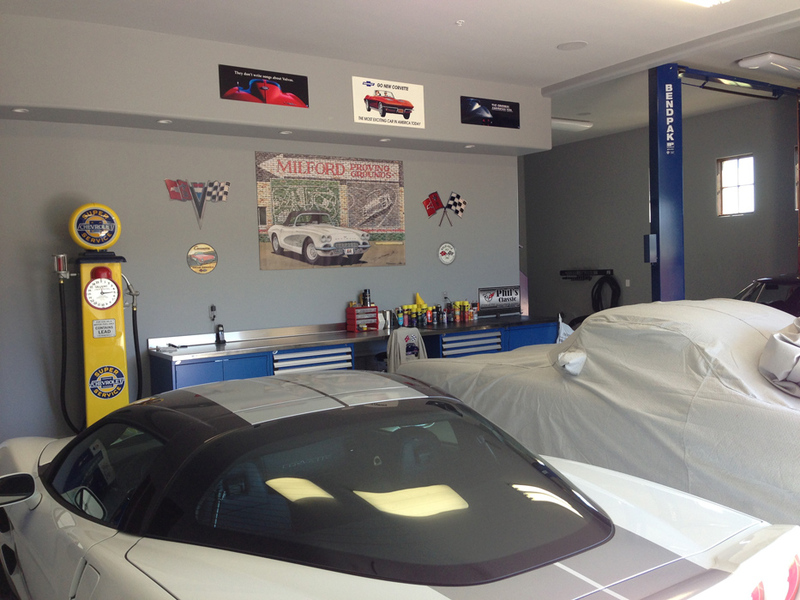 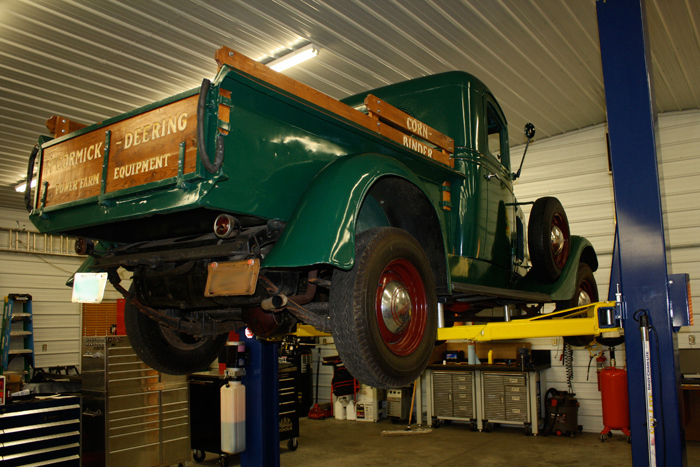 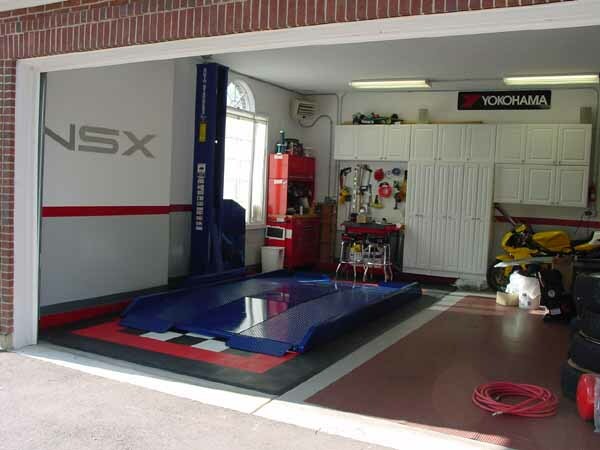 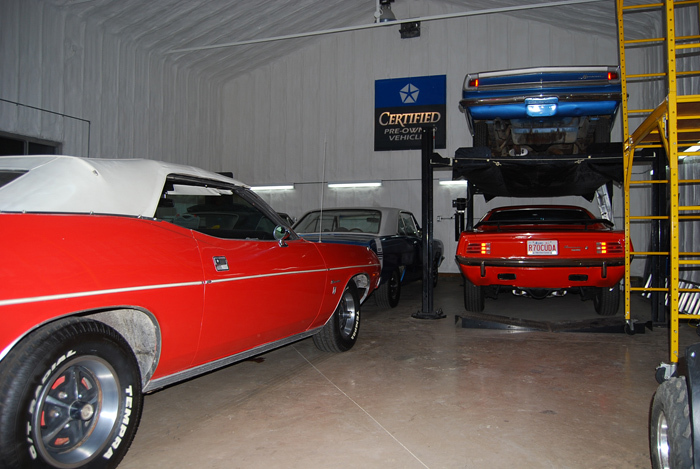 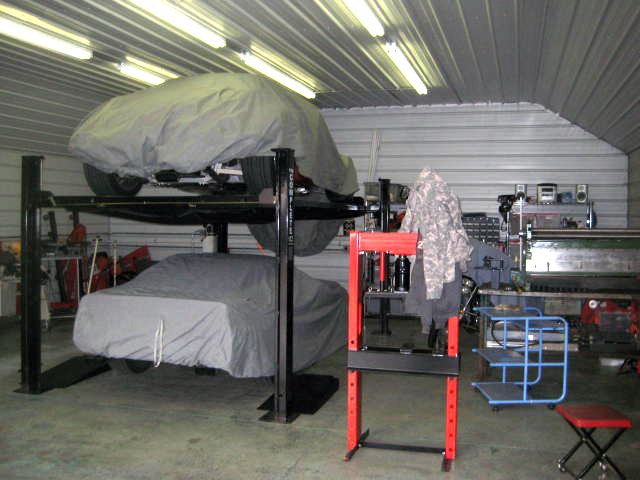 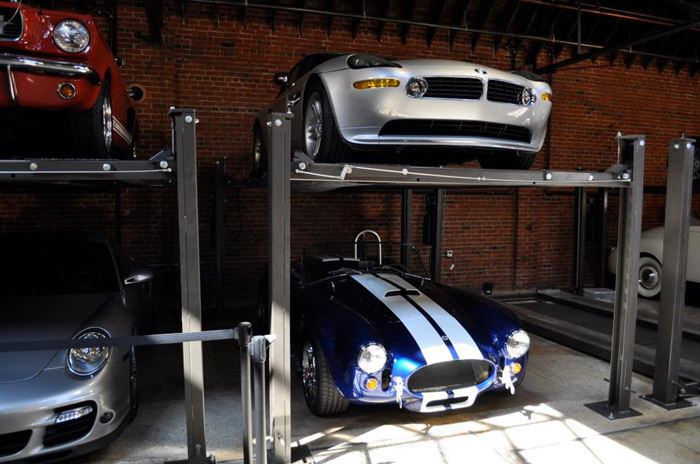 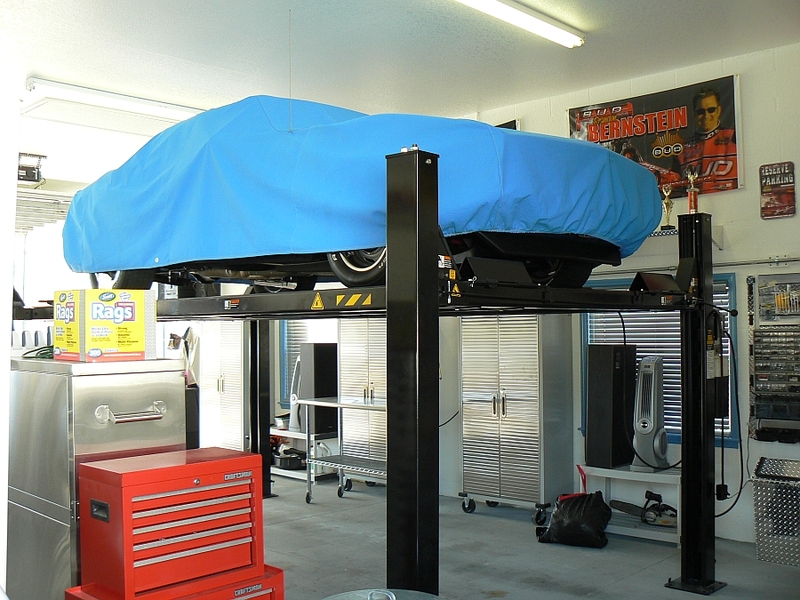 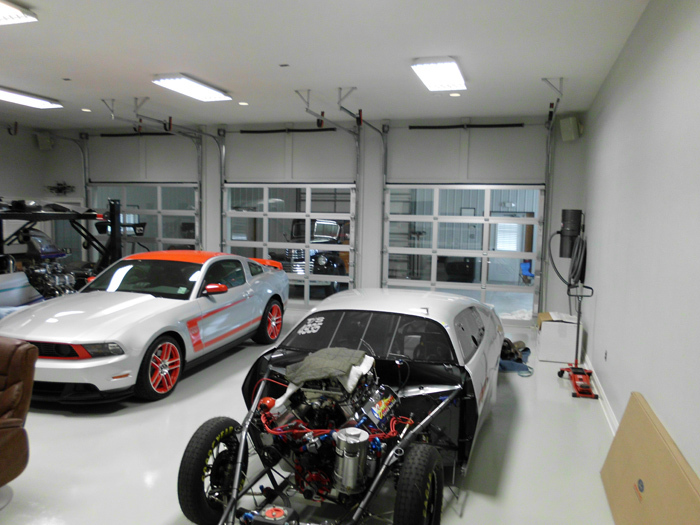 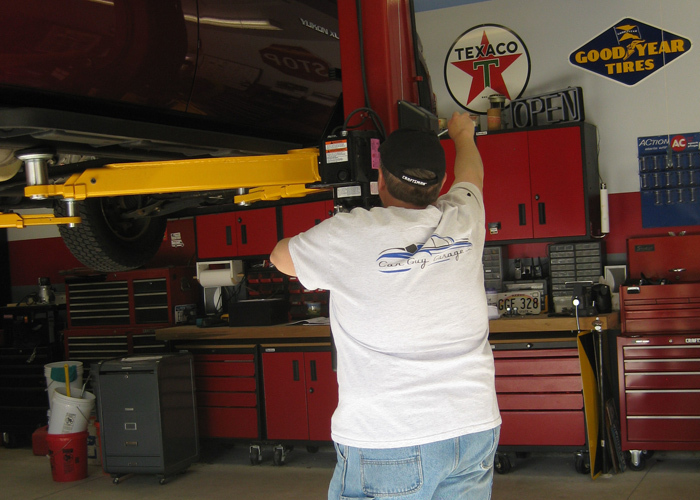 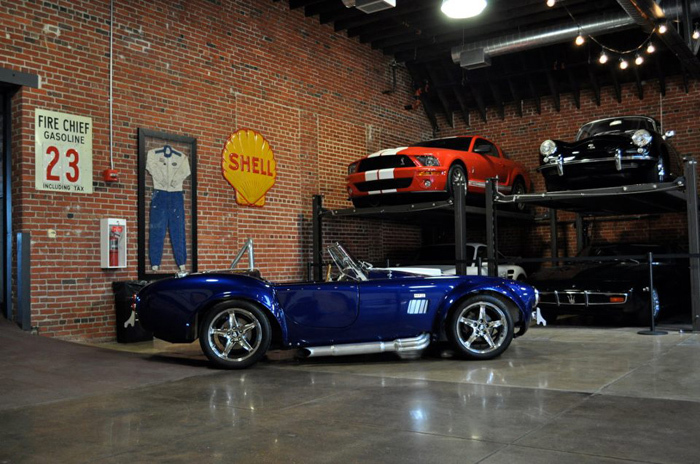 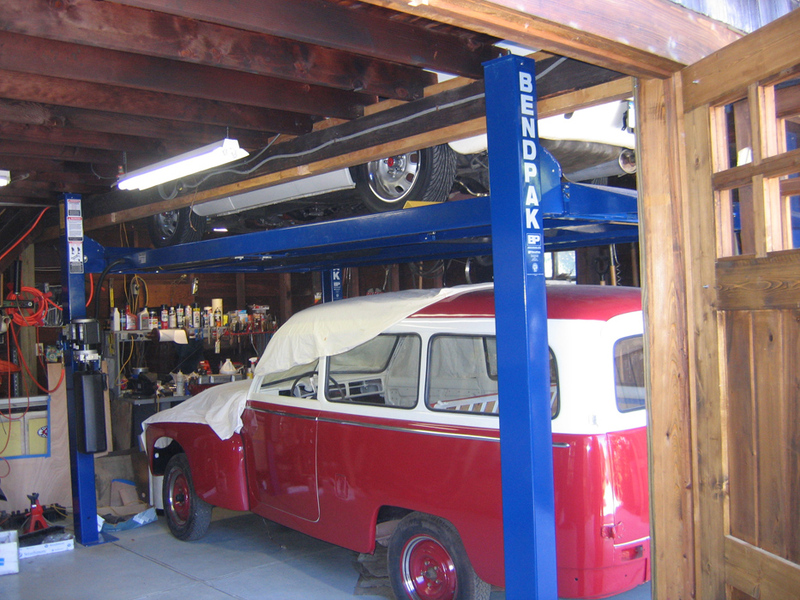 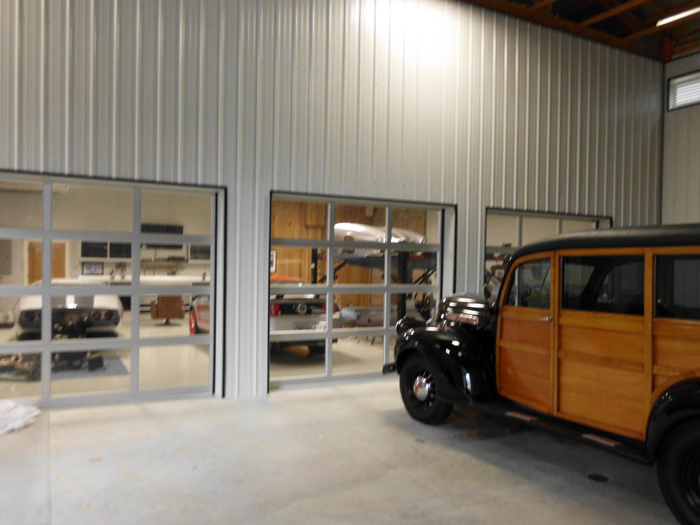 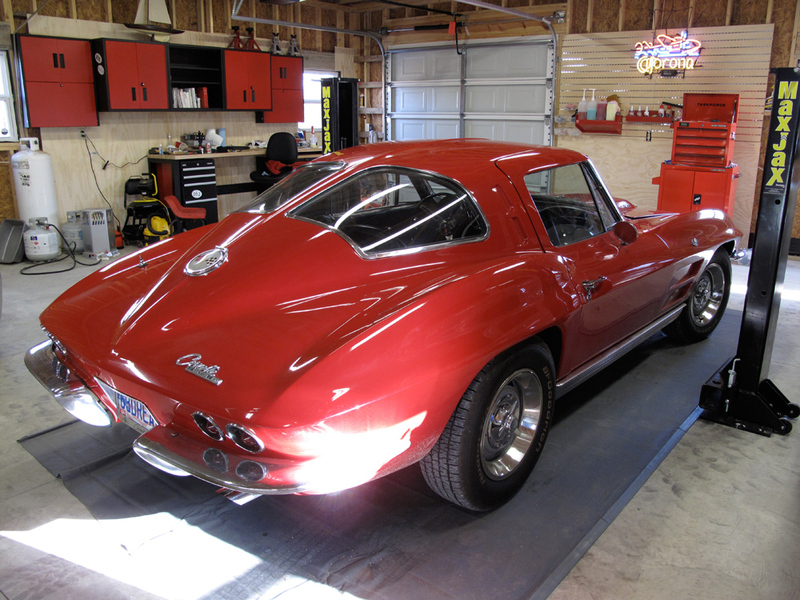 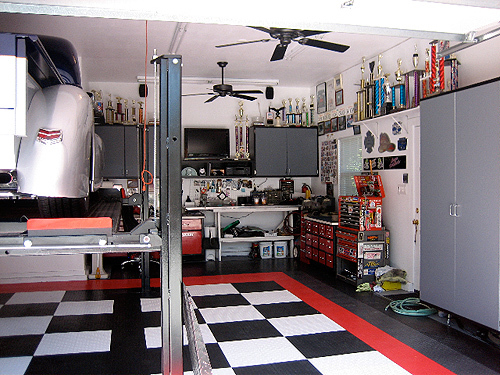 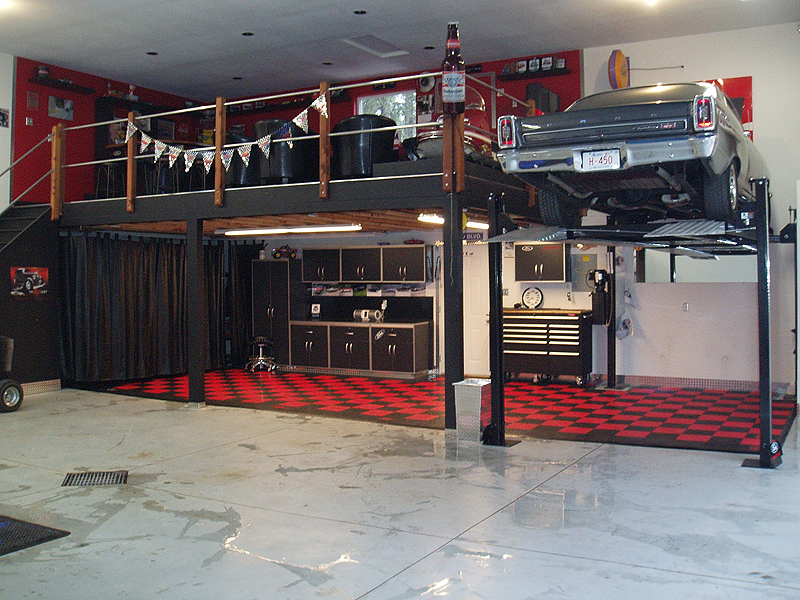 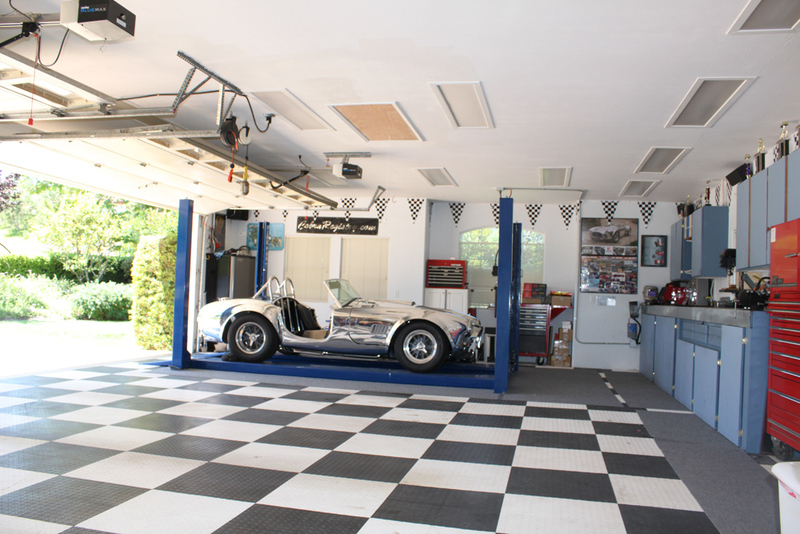 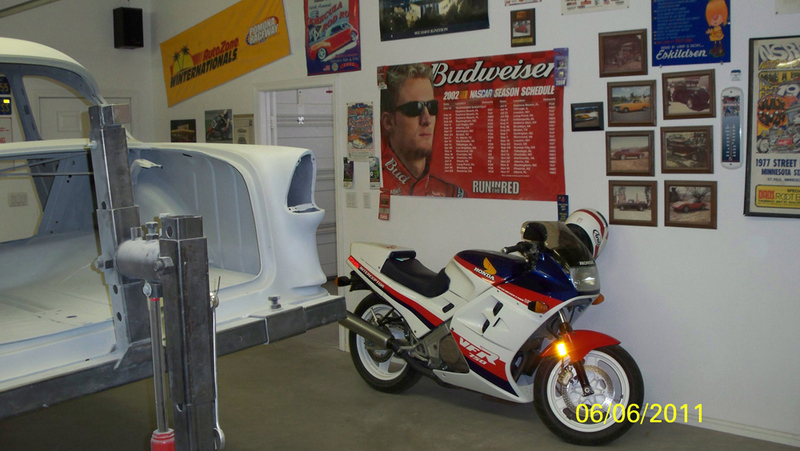 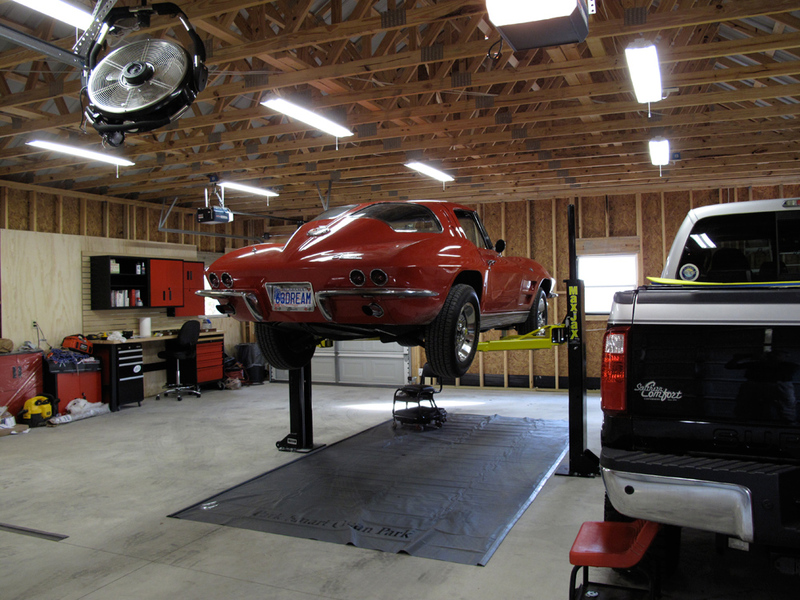 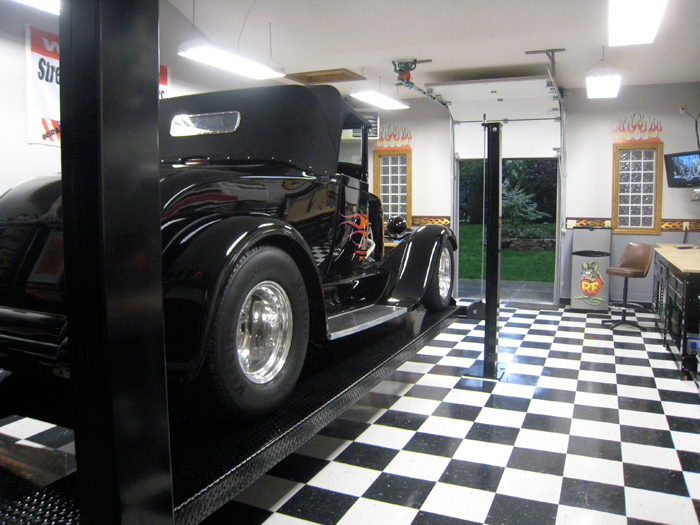 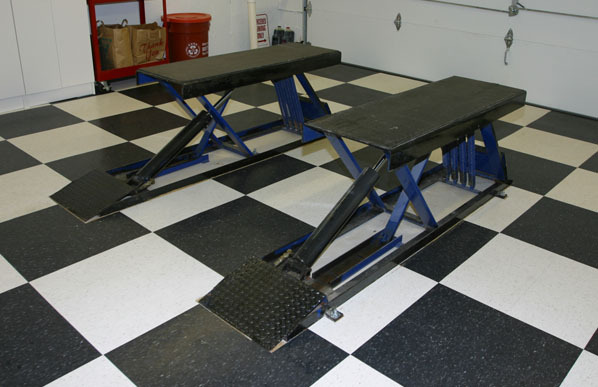 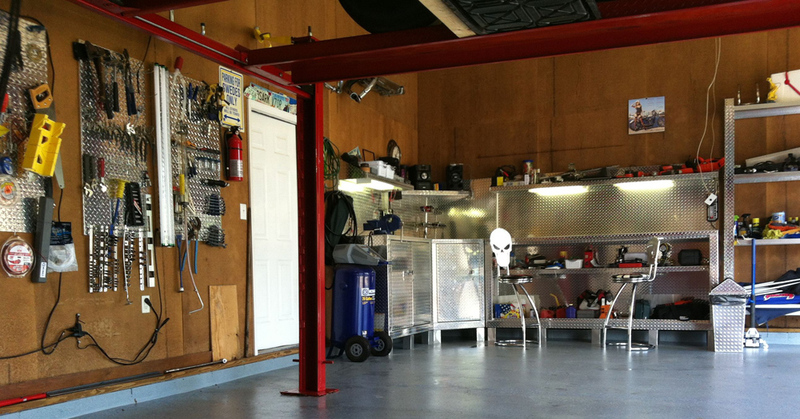 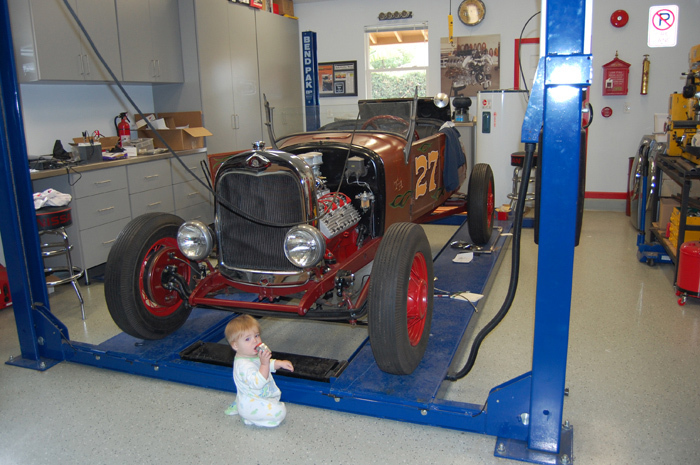 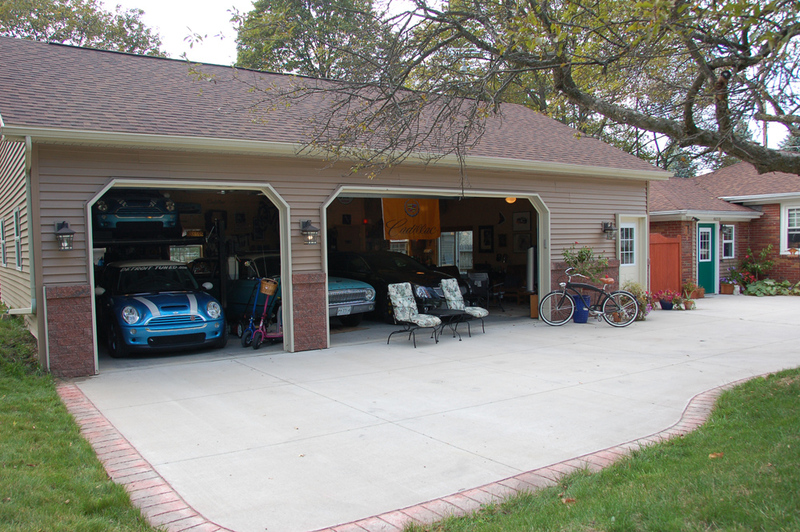 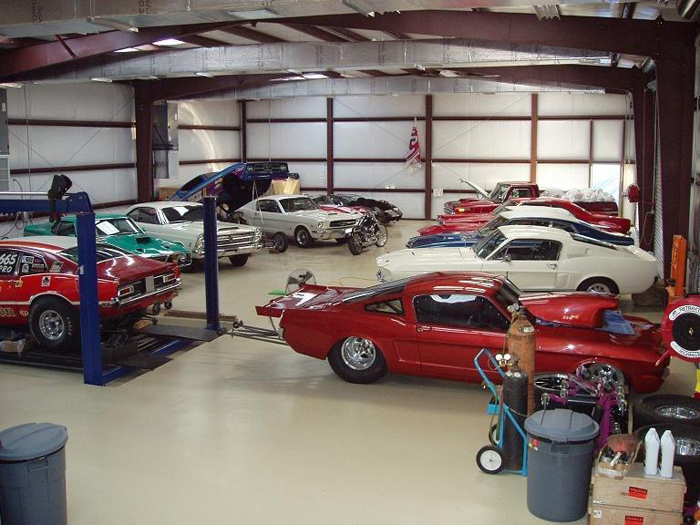 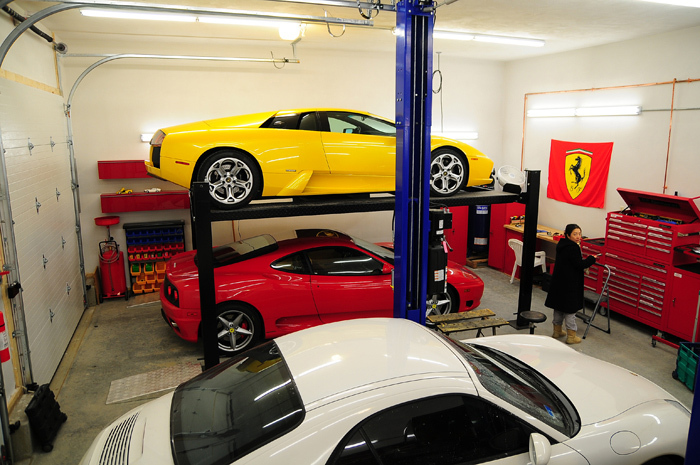 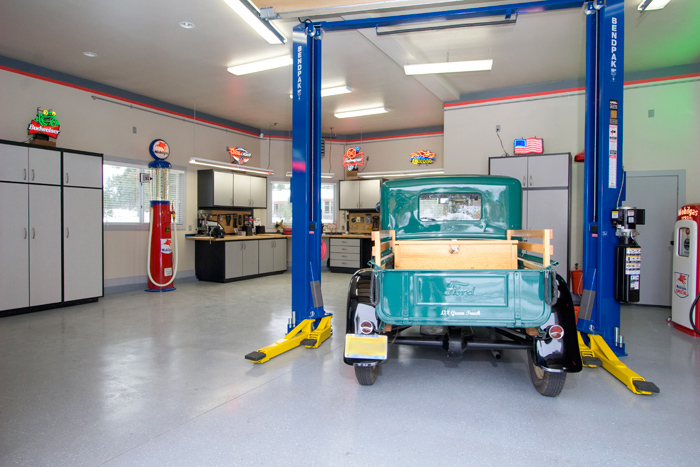 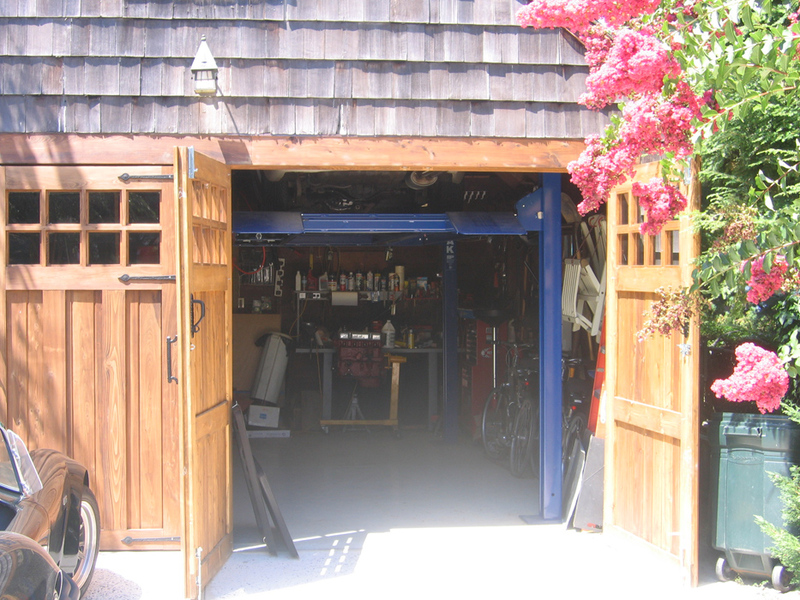 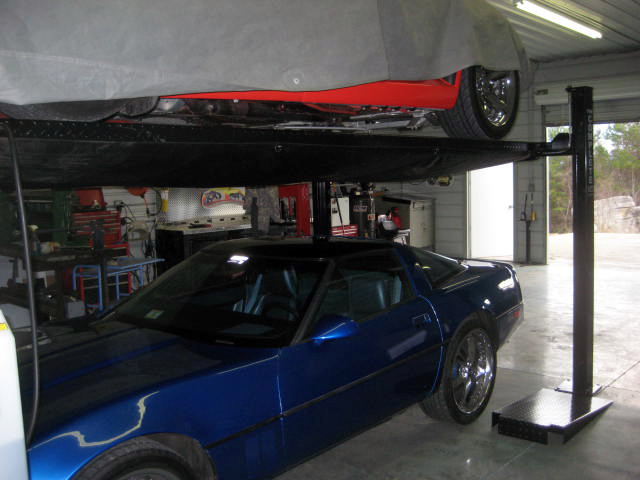 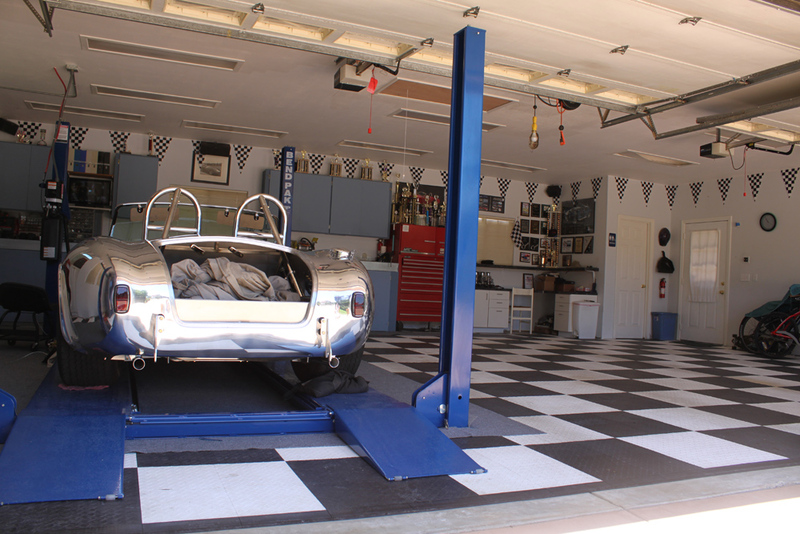 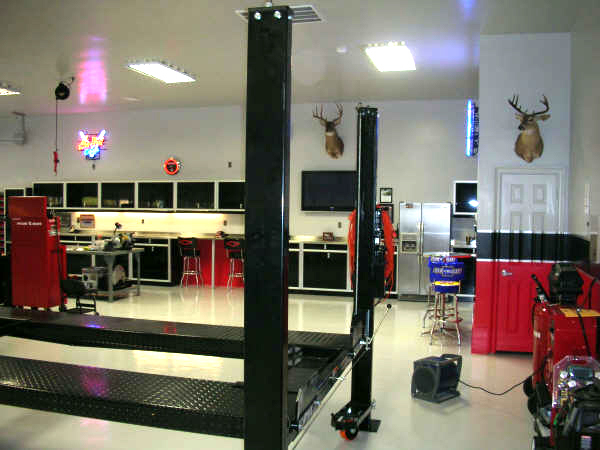 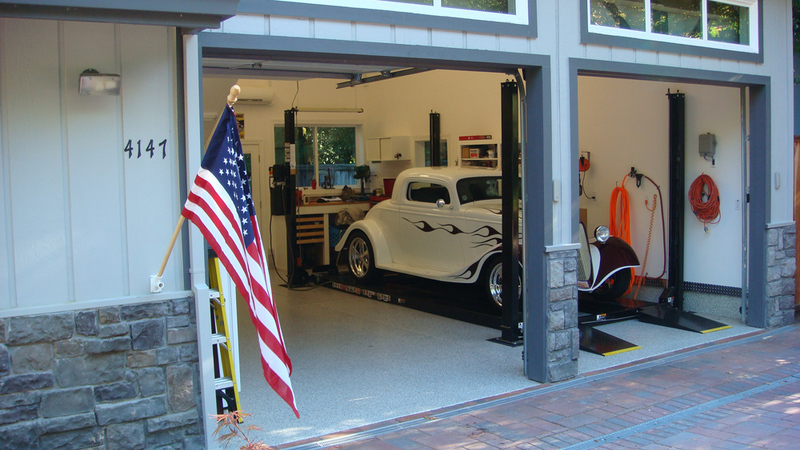 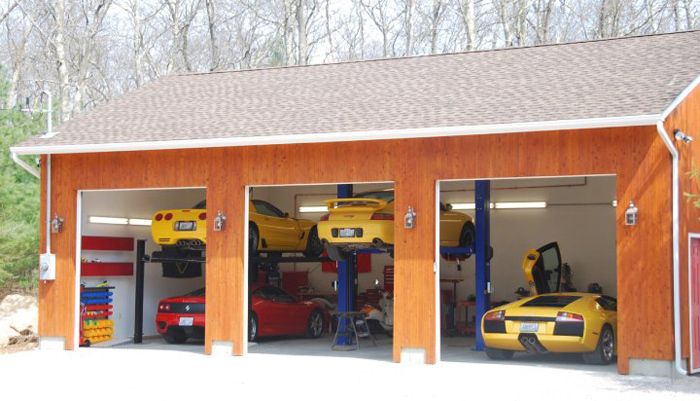 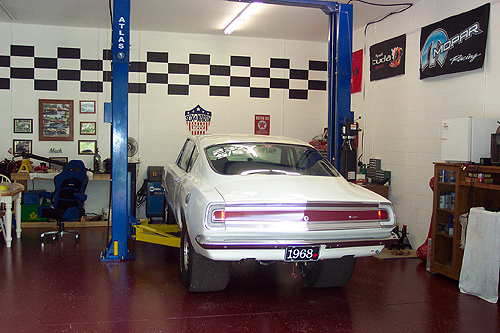 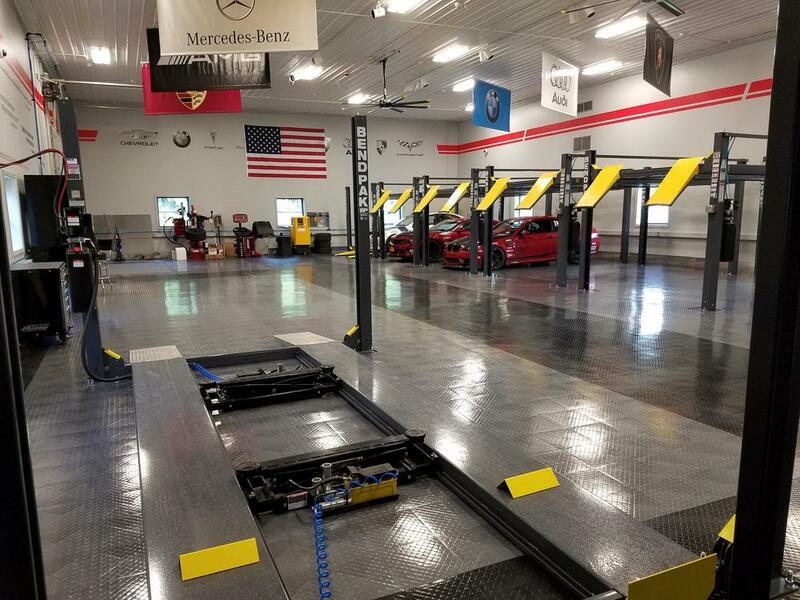 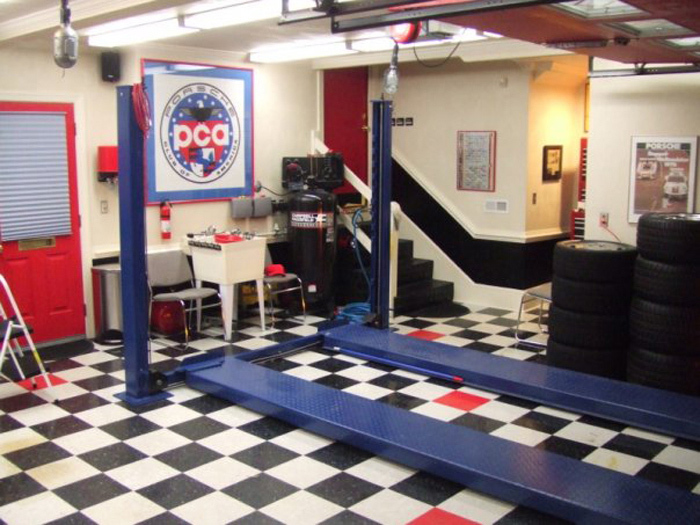 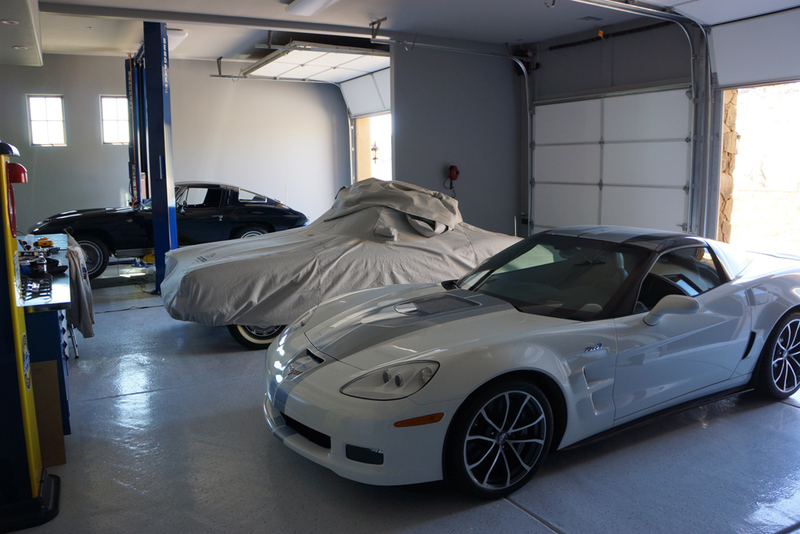 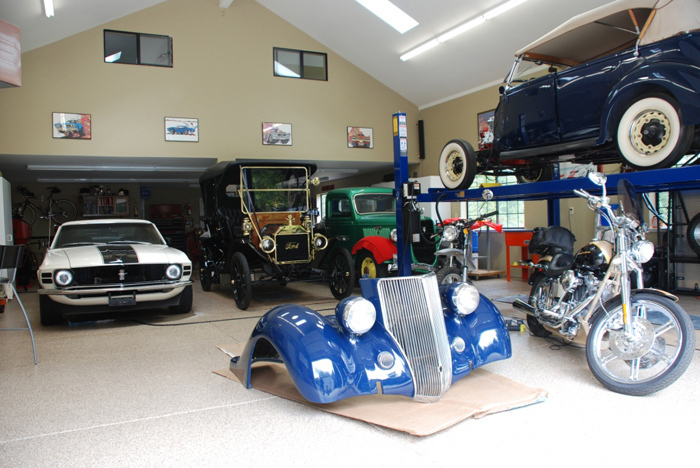 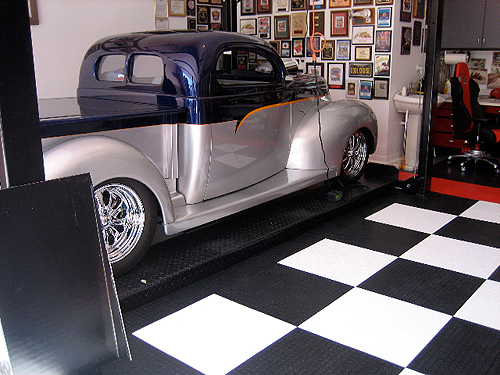 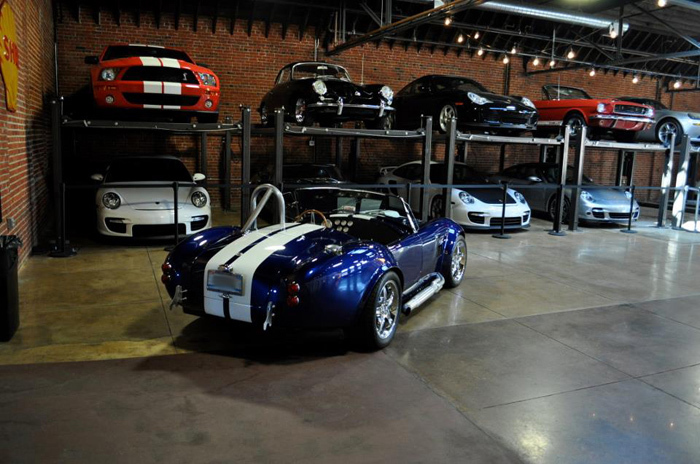 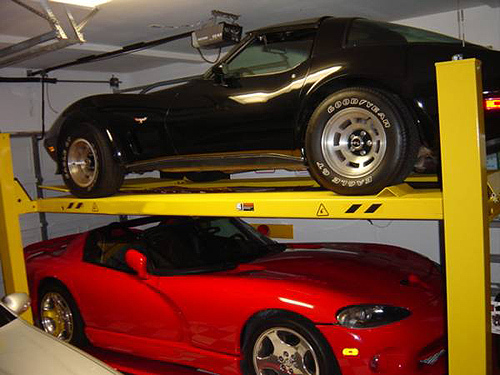 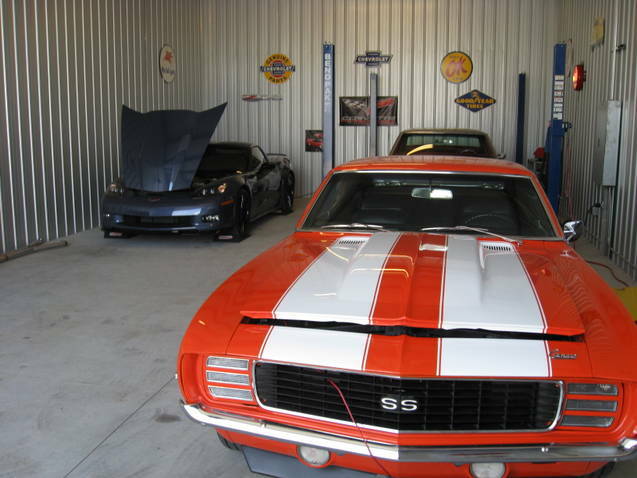 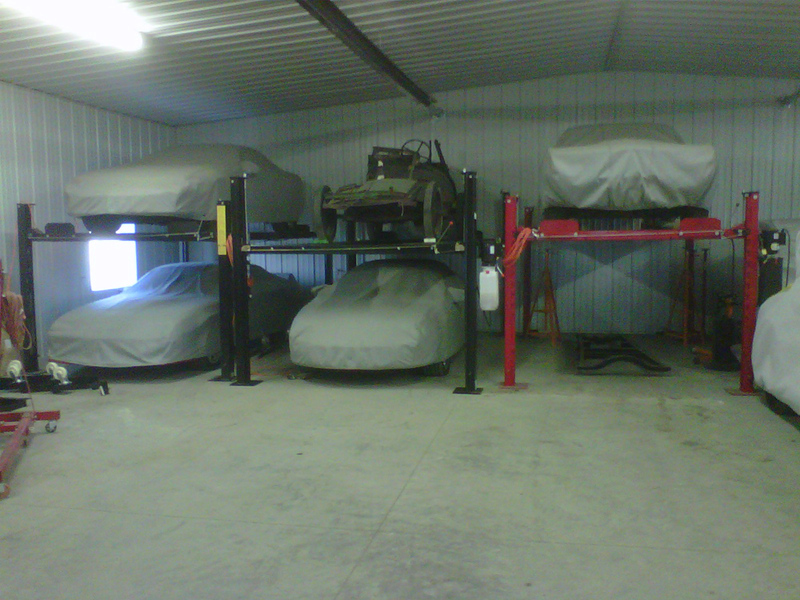 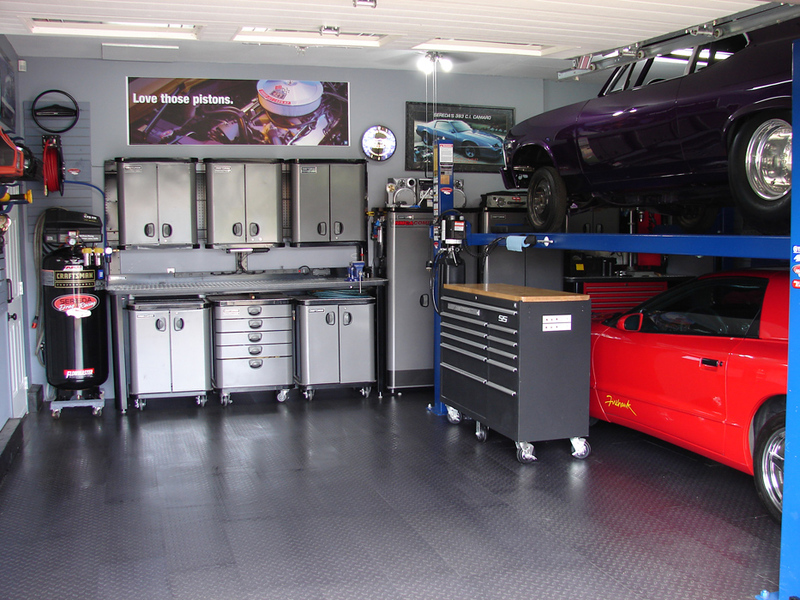 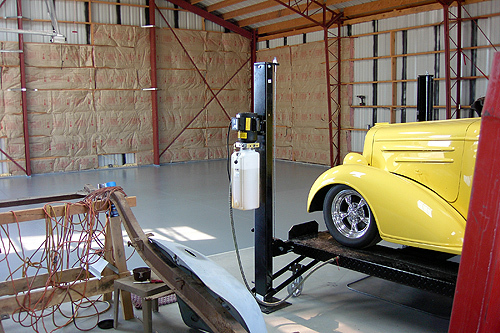 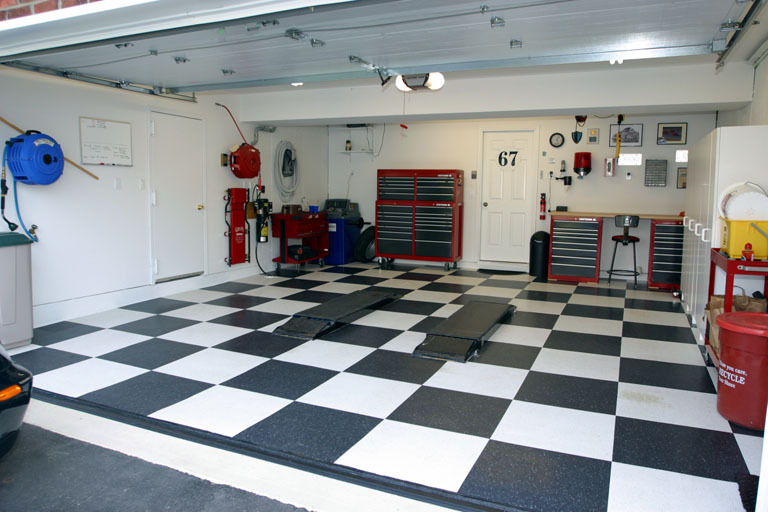 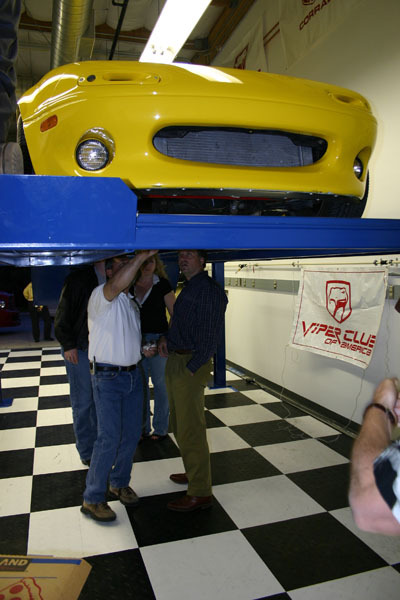 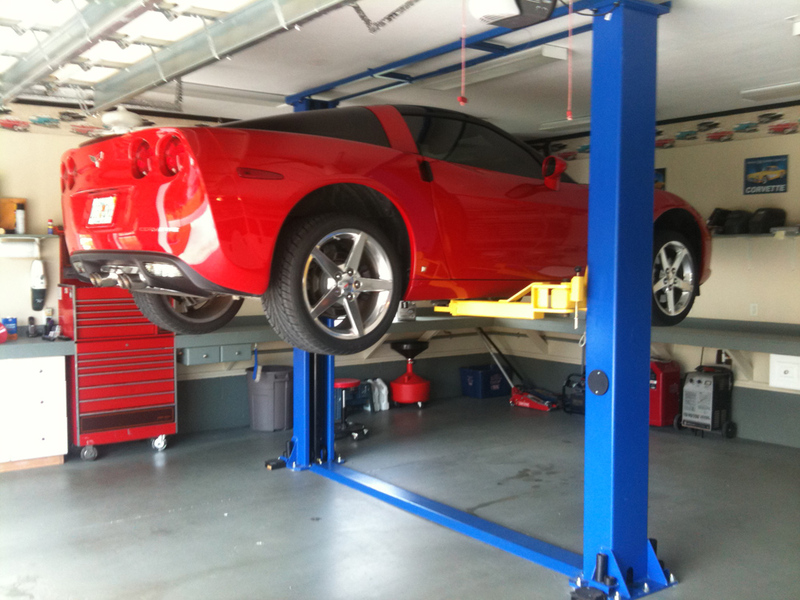 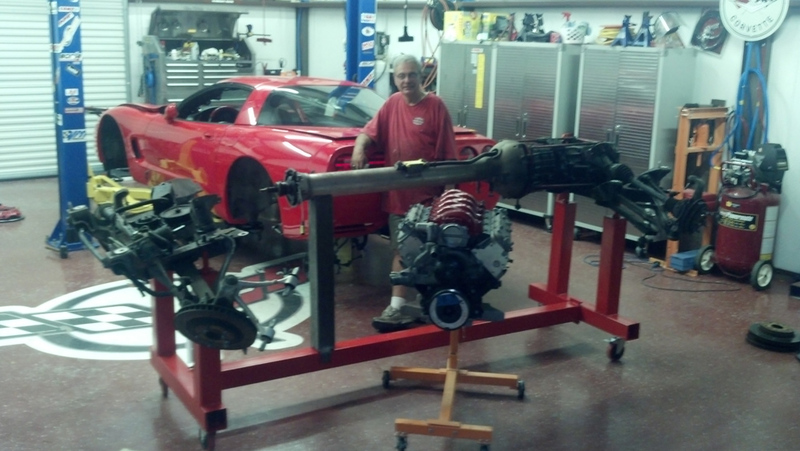 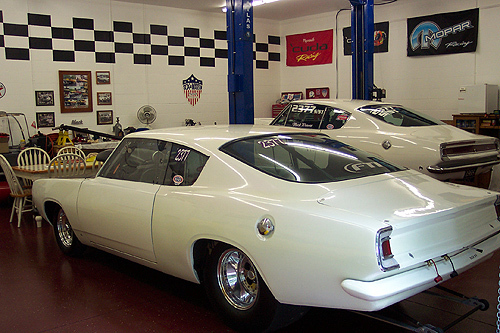 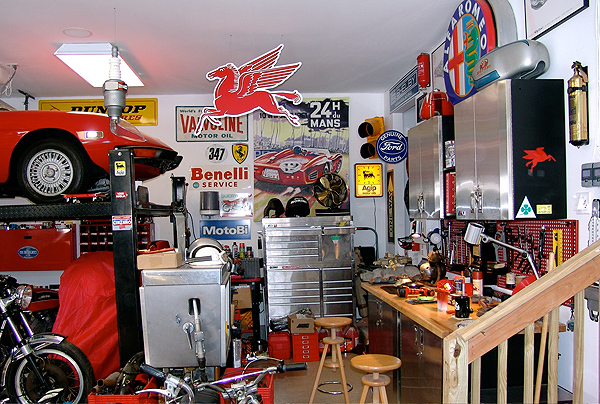 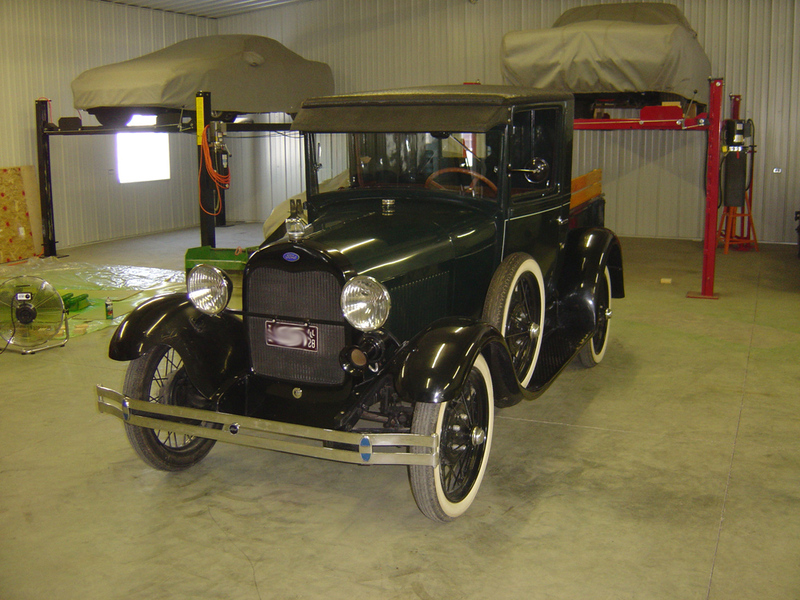 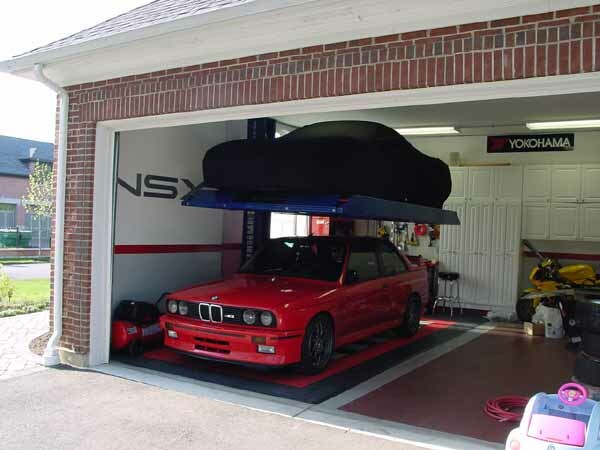 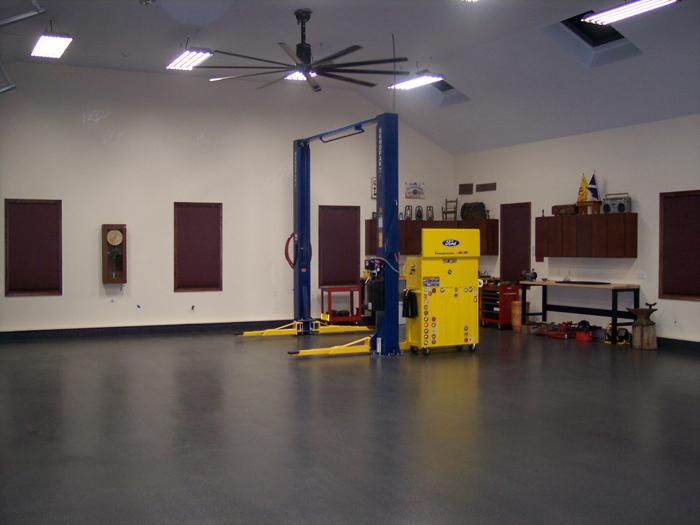 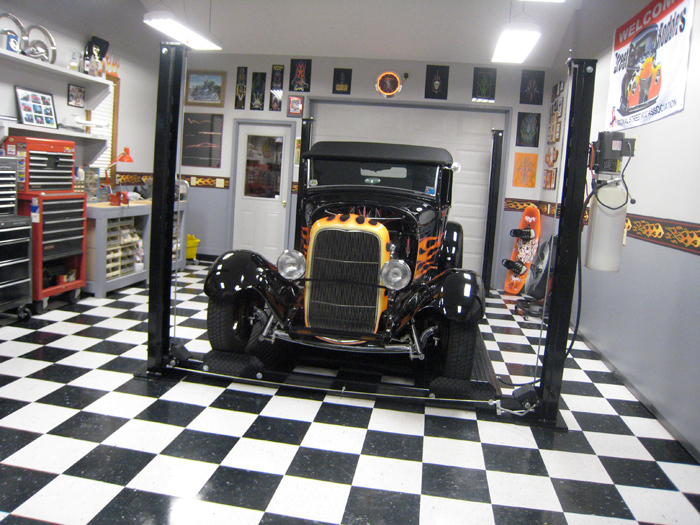 This lift will set your shop apart from other peoples car storage.